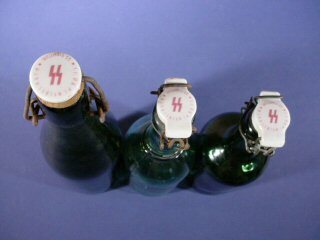 DESCRIPTION: The bottles featured here are probably from the SS Krautengarten at Dachau. 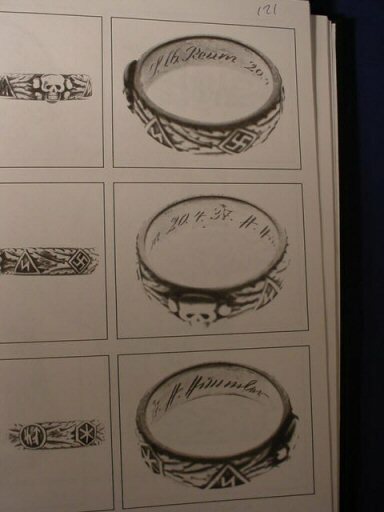 The word “Heidelager” is on the porcelain cap of each one. 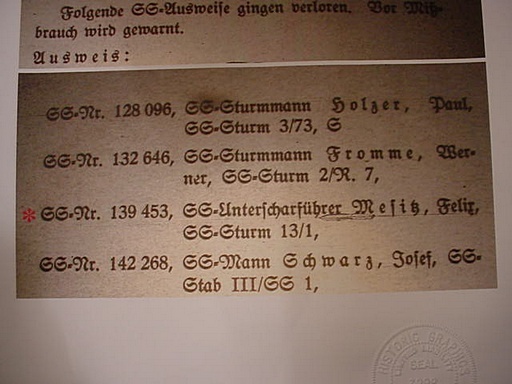 The caps also say “SS Eigentum (SS property). 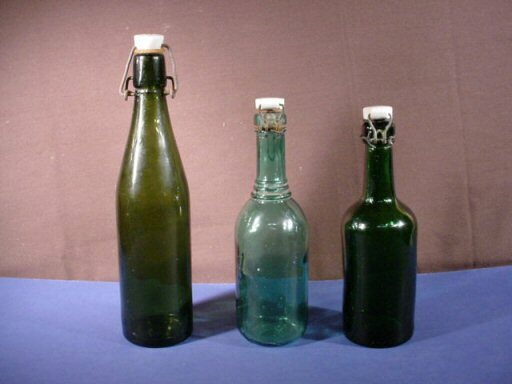 The bottles vary in size and style giving the distinct possibility that different brews might have been bottled in each one. 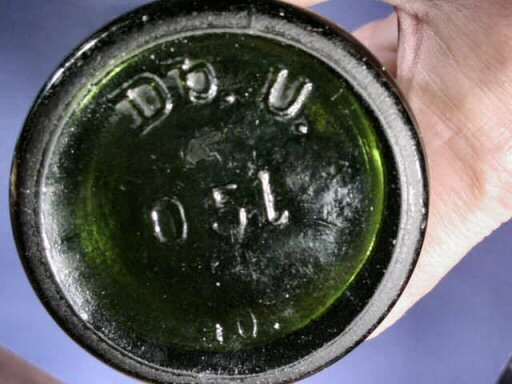 The bottles may have contained aqua vita, an herbal brew consumed by the gallons by the SS legions. 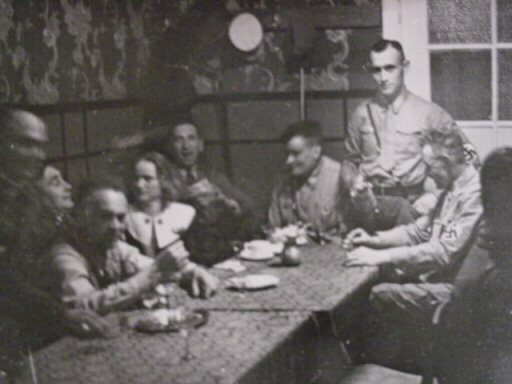 The drinks always came in dark bottles—green in particular— because I can tell you as a clinical nutritionist that this is the proper way to bottle medicinal or beneficial liquids because sunlight can and probably will oxidize and thus deteriorate the contents in short order. 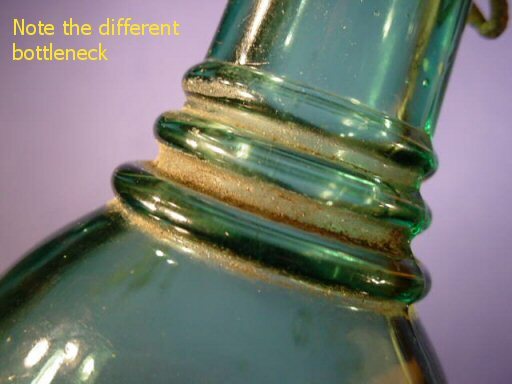 The cap of porcelain is the snap-shut style that puts a seal on the bottleneck that is airtight. 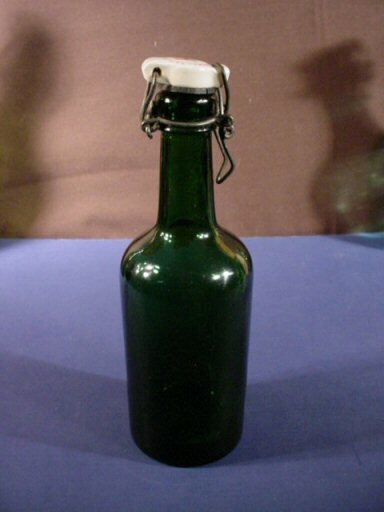 The bottles probably originated from an herbal garden and were used at the concentration camp Dachau, and others. 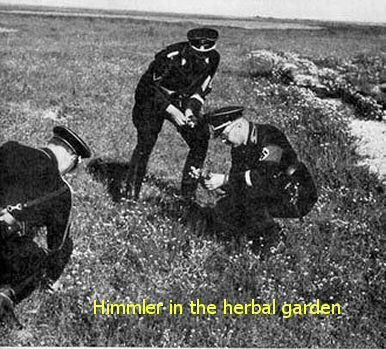 The garden was a favorite project of SS-Reichsführer Himmler, himself. 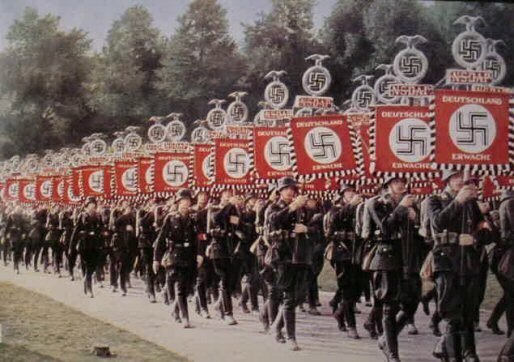 The SS and NSDAP were at all times extremely health-conscious. 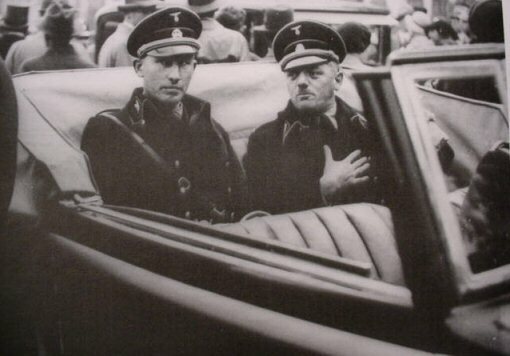 Cigarettes were frowned upon, and even forbidden in the Luftwaffe and Allgemeine-SS. 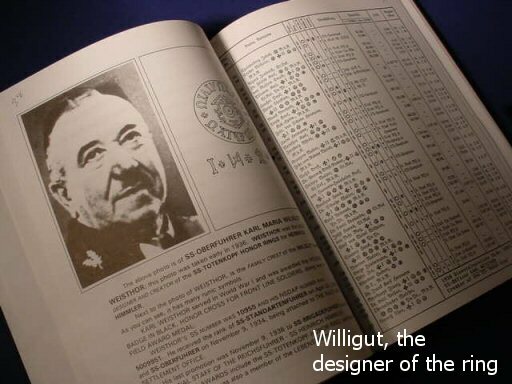 The experiments in herbal treatment and cures continued right up to the end of 1945. Whole-grain breads and the soybean were extolled. 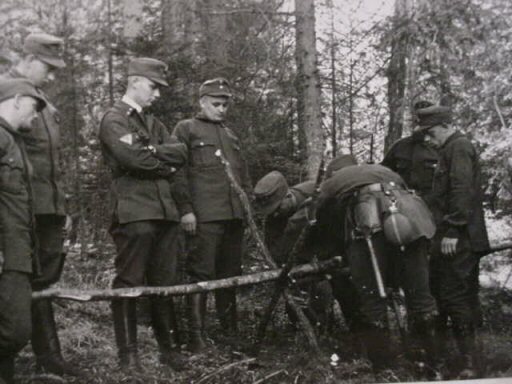 The garden, personally supervised by Himmler, was worked by Polish and Lithuanian personnel. Often, monks, priests, and other clergyman, who were often convicted of treasonous activity, were selected for these labors because of their interests in herbal experimentation. 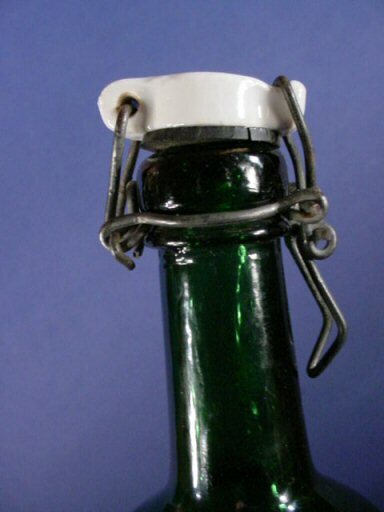 The bottles offered here are very rare and very few have ever been offered, and they are in perfect condition. 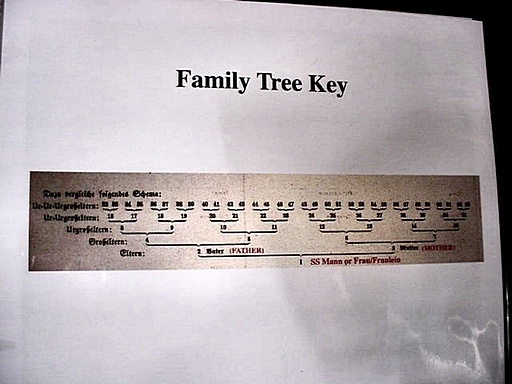 They are also in different measurements and shapes. 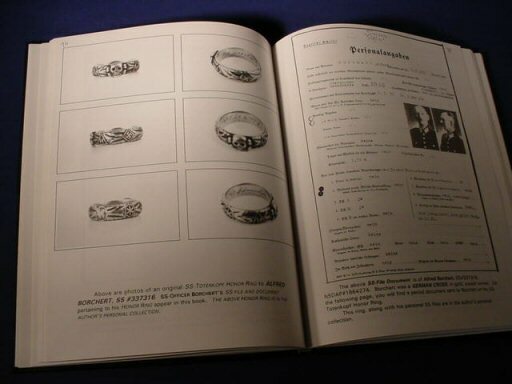 They were purchased from different sources and are very reasonably priced considering their rarity. 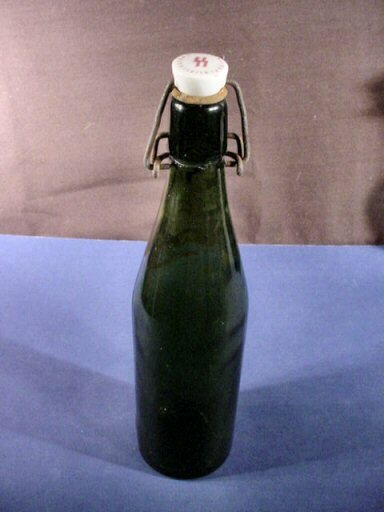 DESCRIPTION: This 11 1/4-inch-tall bottle is generally described in the article above. It's taller than others of this species. 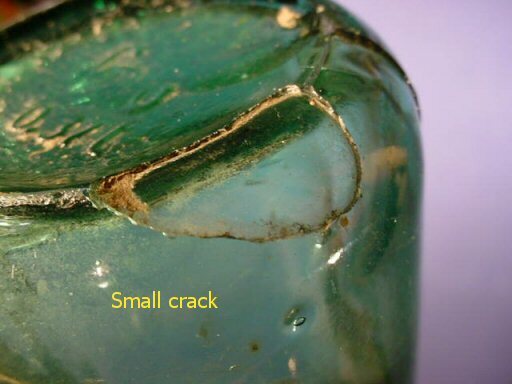 The seam that runs of both sides suggests that it was assembled in a glass- blowing, handmade manner. 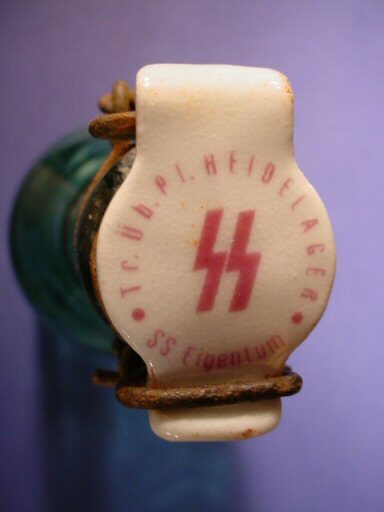 It is marked with the usual SS property and the Heidelager identification on its porcelain cap and has some additional raised marks in the glass bottom Db.U 051. 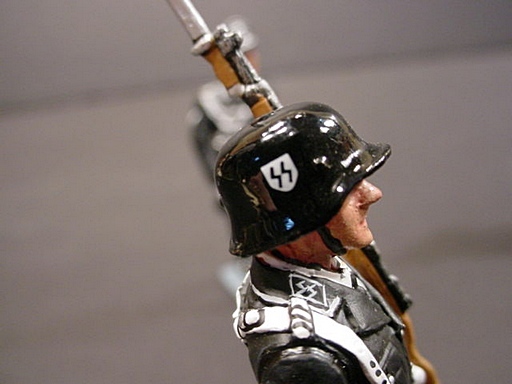 See the descriptive information in the above article. DESCRIPTION: This example is the type that shows up usually whenever rarely any of these bottle show up at all. 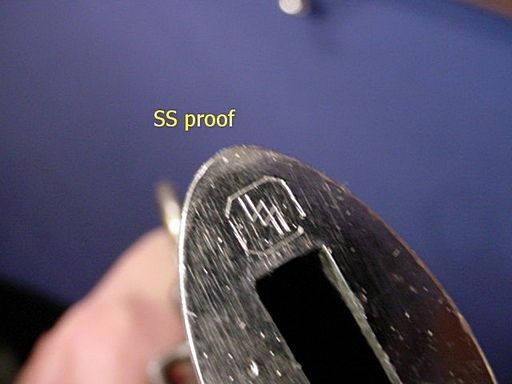 It has a dark-green color and the SS property markings. 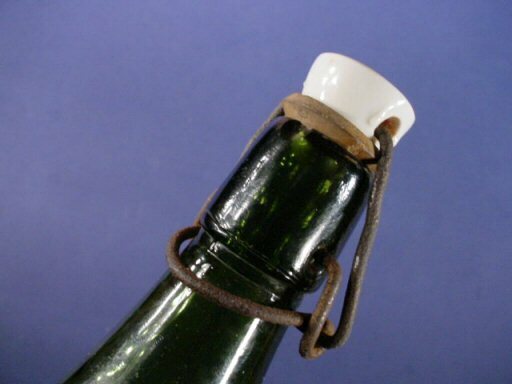 This porcelain cap is fastened down with metal fasteners. 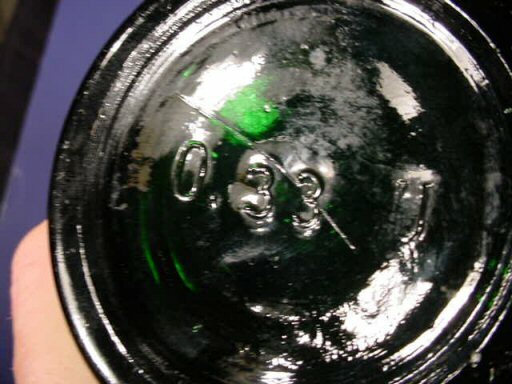 It has the raised letters and numbers on the bottom. Please see descriptive information in the above article. 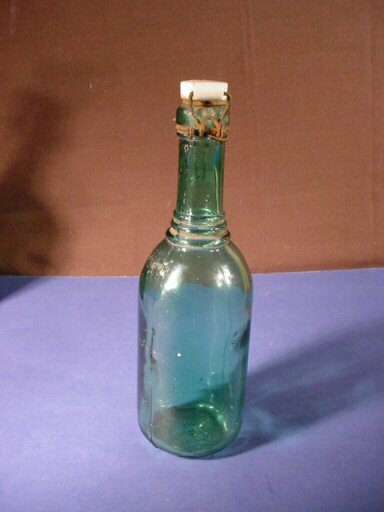 This bottle is about 8 1/2 inches high and has a distinctive shape different than the one above. 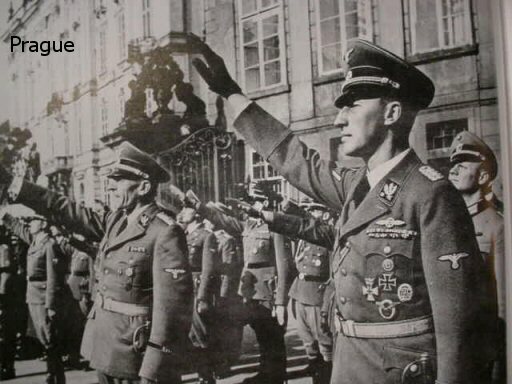 This is extremely rare and vastly important historically. 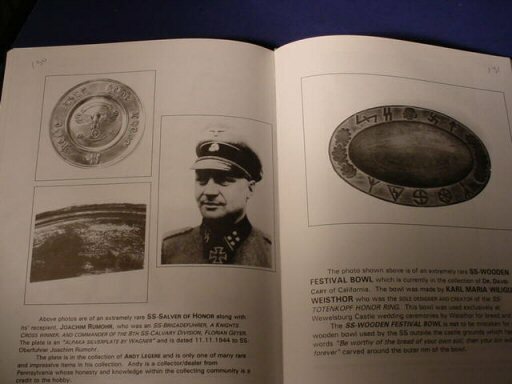 DESCRIPTION: This is the officer-corps magazine published by the SS printing office and distributed to SS officers. 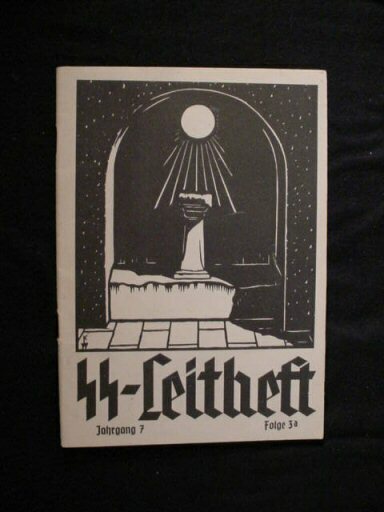 It was strictly a cultural and educational booklet and was always devoted to subjects of the “higher plane.” This was Jahrgang 7 and is a “very special” issue in that it is devoted to the Externestein, the Rocks of the Sun near Detmold. 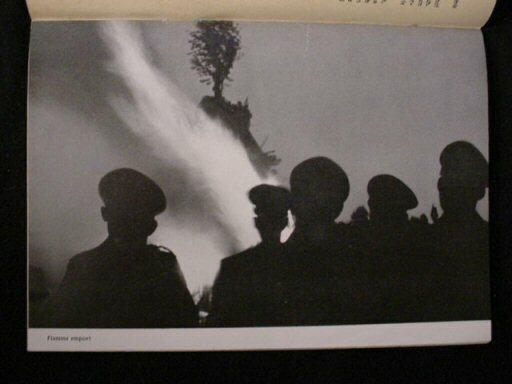 It, of course, has other interesting subjects as well, with great black-and-white pictures. 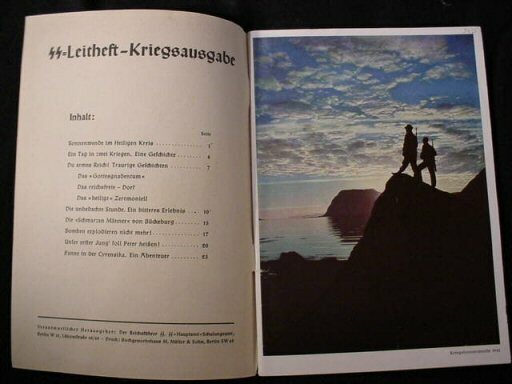 The English phenomenon Stonehenge is also covered, with charts and discussion in the Externestein section, which is also shown (at least in part) on the cover. 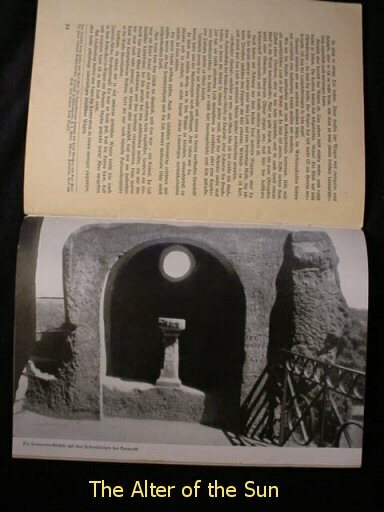 There is a beautiful picture of the rocks in color plus a great photo of the Sun Alter. This is a fascinating place to visit, but lately the sun chamber had to be sealed off because of graffiti and vandals with pocketknives. I think it would be great to throw a few of them from the heights. I’m sure the ancient Druidic priests would admire me for that, and I would be in ecstasy to accomplish that. 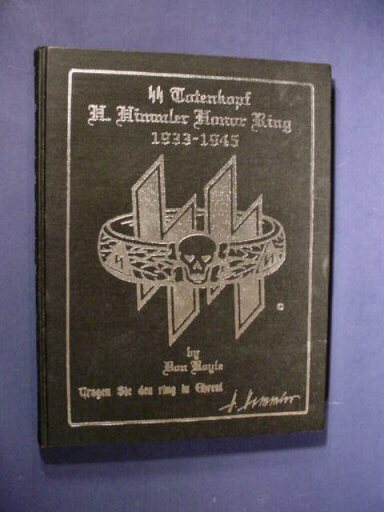 Anyway, this is a rare special issue and is certainly worth adding to a fine and important collection. DESCRIPTION: Help! 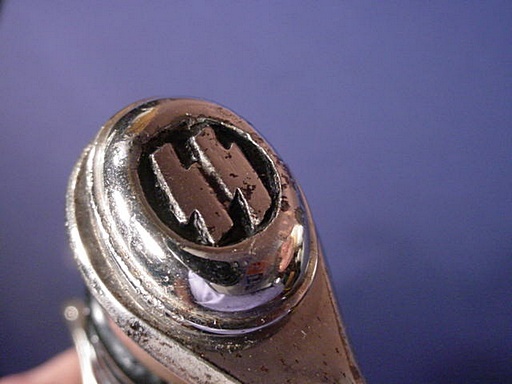 Okay, we admit that sometimes even we need help on identification of some of these items. We are rather stumped on this one. 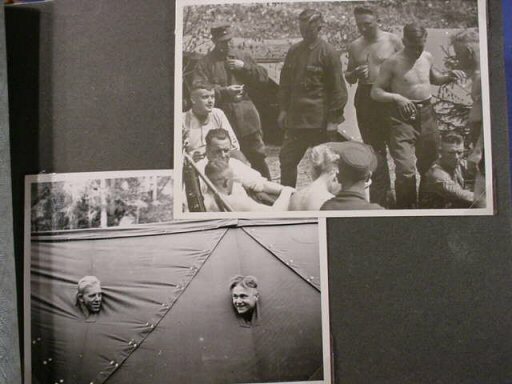 We show here a few pictures of men in uniform hoping that some of you out there might recognize the pictures and tell us what we have here. 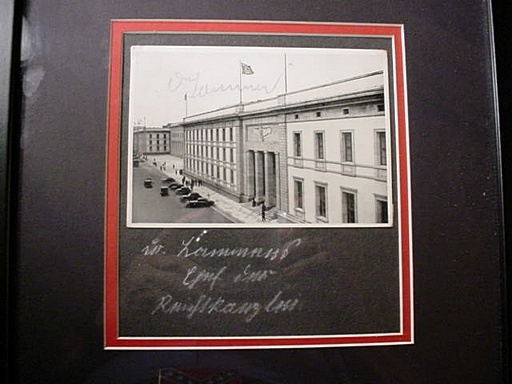 In back of the album are some great pictures of young men of the NS Agrarian Association (Farmer’s Group) with their distinctive flag. 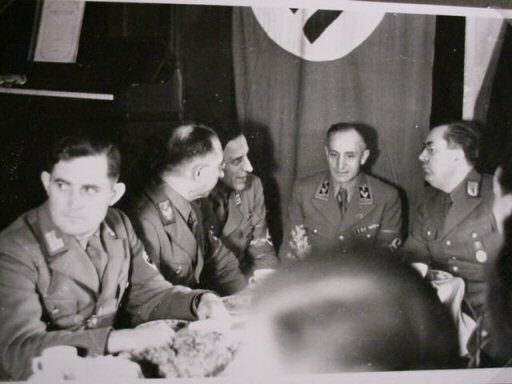 Is it possible that the uniformed men are also of this group (Reichsnärstand)? 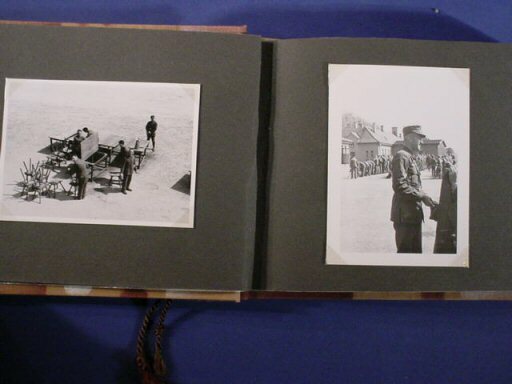 The album comprises 65 pictures in a petite size of 7.5 x 5 inches. 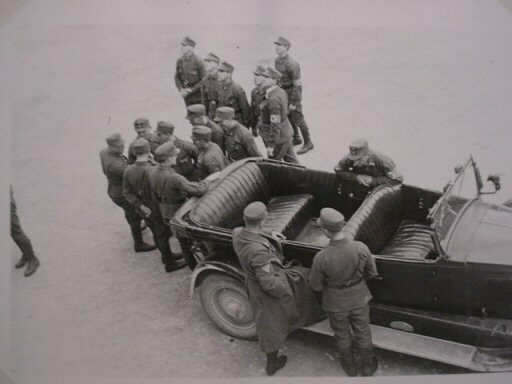 Just about all the pictures are personnel and uniform. 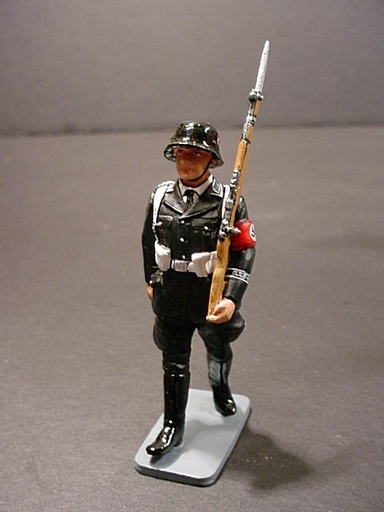 These must be rare, as we have not seen these uniforms before. 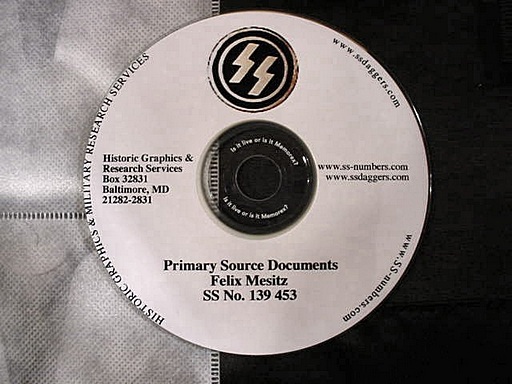 DESCRIPTION: We have searched for 3 years to find even a single copy of this book that might be available. 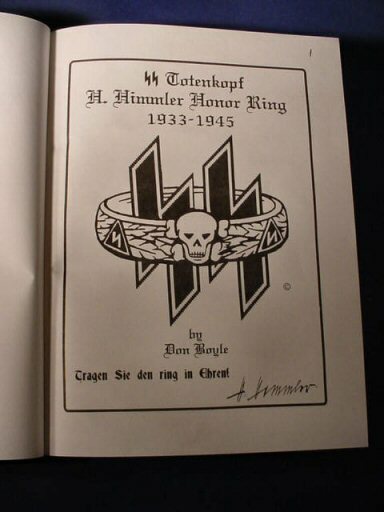 Finally, we found one, but the price to us was really too much, but even Don Boyle, himself, does not have one beyond his own copy. It’s been out of print since 1995. 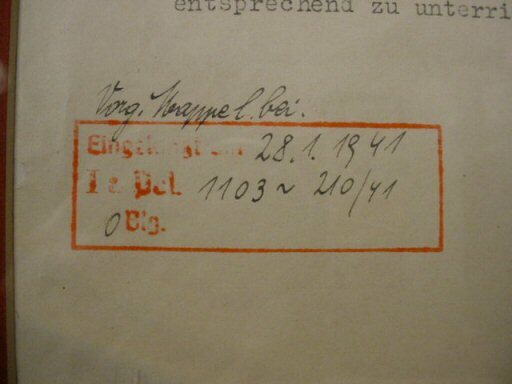 This copy is used and the owner has numbered the pages since the book has no numbered pages. 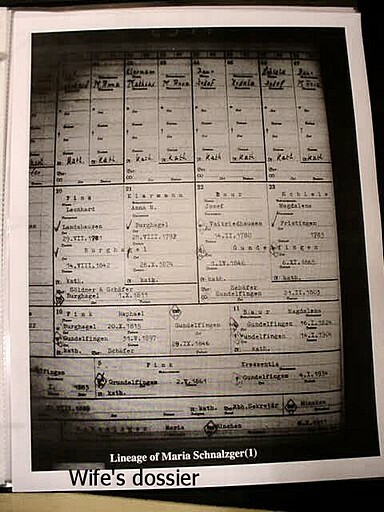 This was for his own reference and the numbers are in light pencil marks that can be erased with no difficulty. 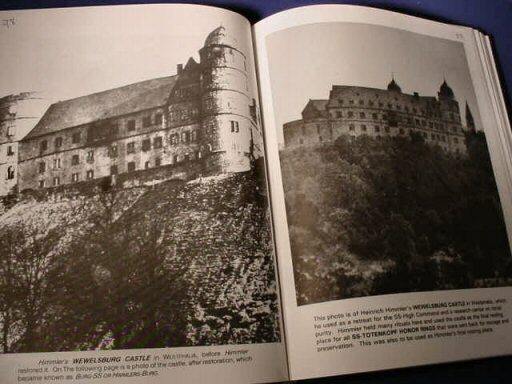 Otherwise, the book is in extra-fine, even mint, condition. 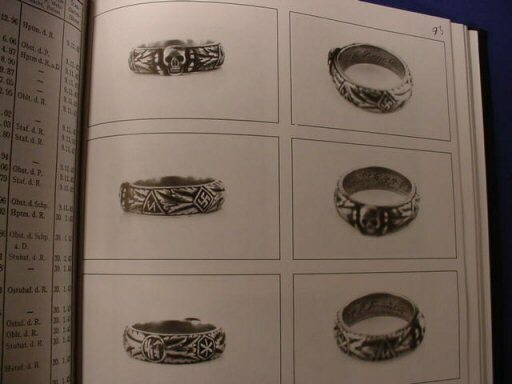 This is the hornbook on these much-sought-after rings. To find a copy at any price is nigh onto impossible!!! 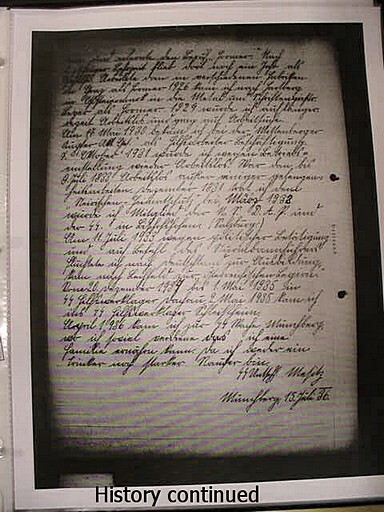 We paid a real premium to attain this copy and unfortunately we have to pass this expense to you. We hate to even list this price, but we have had folks clambering and beating on our door to attain one. 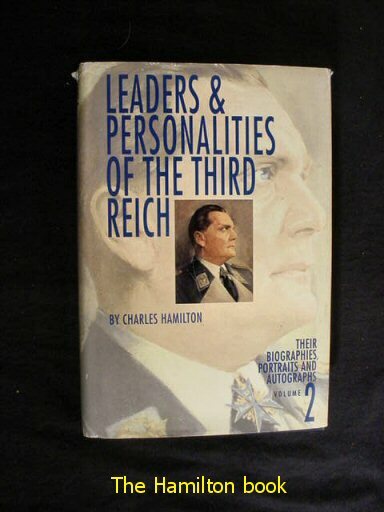 So we will apologetically offer this book at the price below. PRICE: $750.00; try to find one at any price! 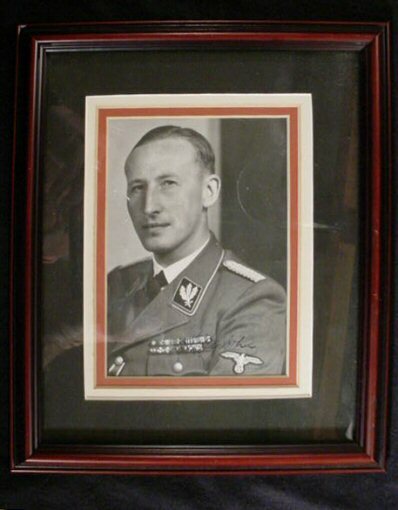 DESCRIPTION: This is what many of our customers have anxiously waited for: a signed photo of none other than Reinhard Tristan Eugen Heydrich, Chief for the Reich Security main office (including the SD), the Gestapo and Kripo, NS police agencies, and Reich Governor of Bohemia and Moravia. 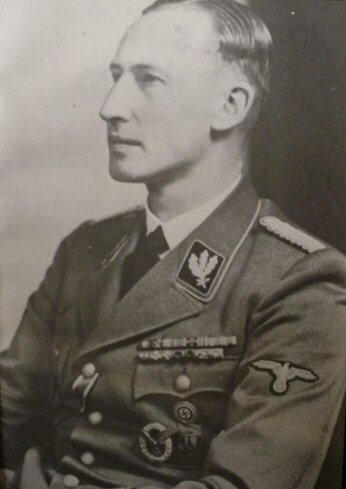 Adolf Hitler always considered this austere, accomplished tactician as possible successor. His first middle name, Tristan, stems from Richard Wagner's Tristan and Isolde. 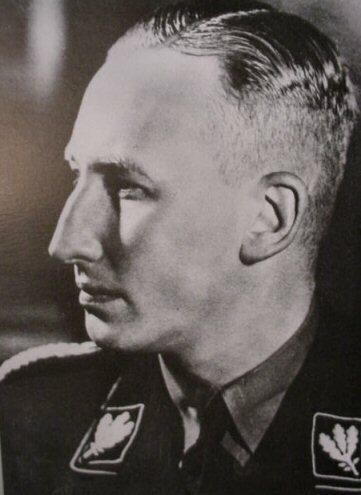 His other middle named, Eugen, probably derives from a military hero Prinz Eugen of Savoy. 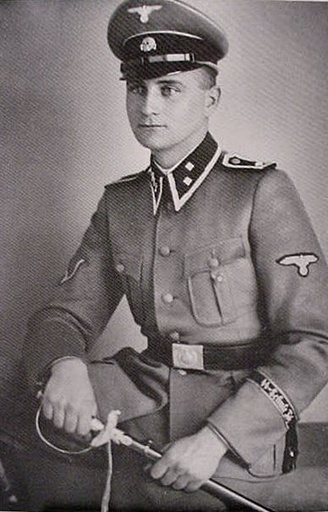 The German cruiser, Prinz Eugen, was also named for Eugene of Savoy as was the 7th Waffen-SS Division. 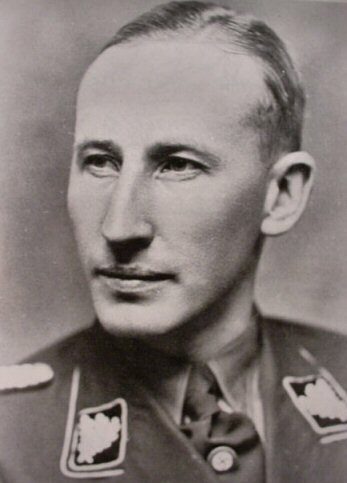 So, on the 7th of March 1904, Reinhard Heydrich came into the world and was given the names of heroes of the Germanic past. 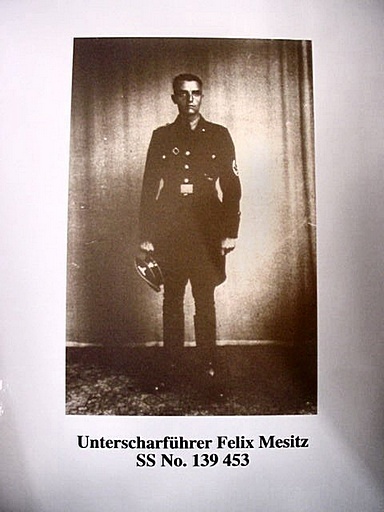 Certain historic revisionists who believe that this Obergruppenführer was truly one of these heroes. 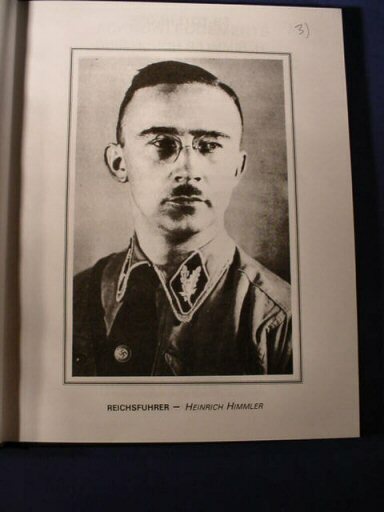 That must be agreed or disagreed by the reader, but certain books of late seem to differ greatly about this man and his mission, plus the plot to murder him, hatched by Churchill and the British General staff, is being looked at in a different light today. 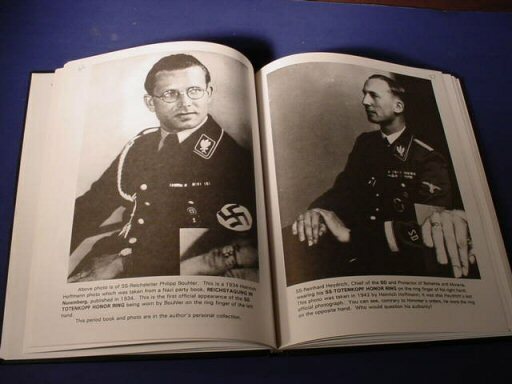 We will take no position except to say that he was a remarkable individual, indeed. 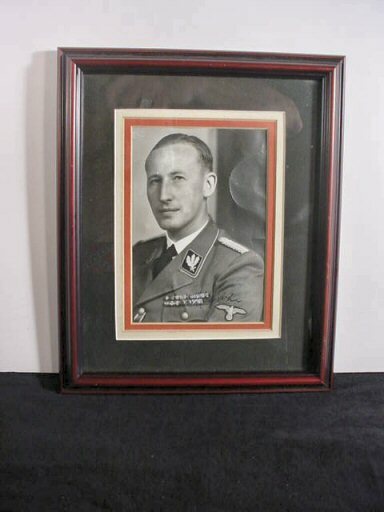 The picture measures about 4 1/2 by 6 1/2 inches and is nicely framed and matted with a black, white, and red German national colors. 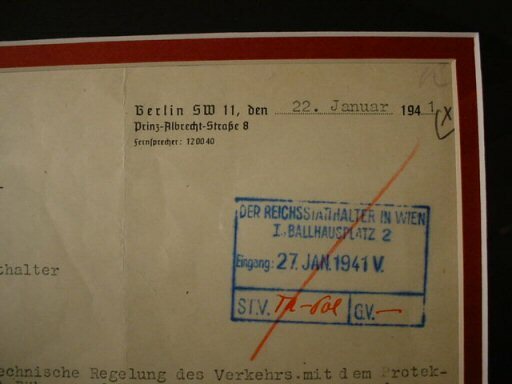 The white and red are from the original Third Reich matting. 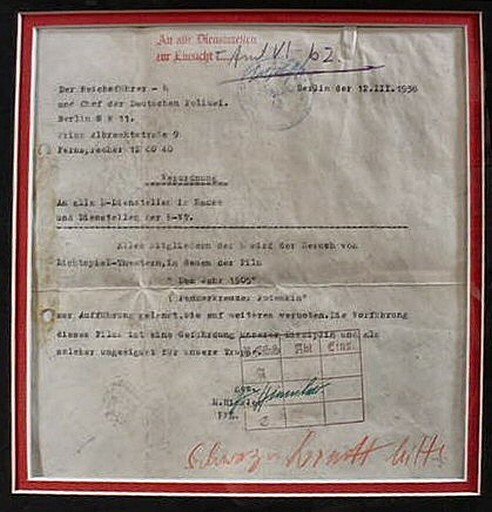 The frame measures 9.5 x 11.5 inches. 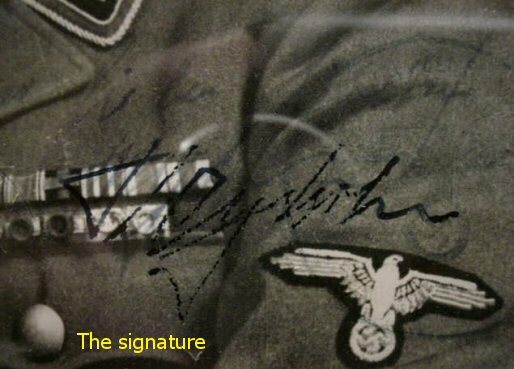 On close inspection there appears to be some message other than the signature, but it is not discernible. 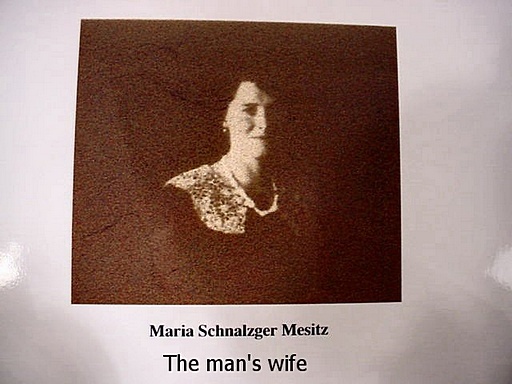 It might be a dedication to whomever he was presenting the picture. 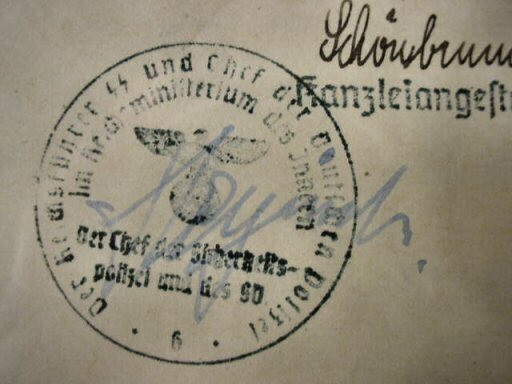 There is also the faint “ghost” of an official stamp at shoulder level, and he signed his name through this. 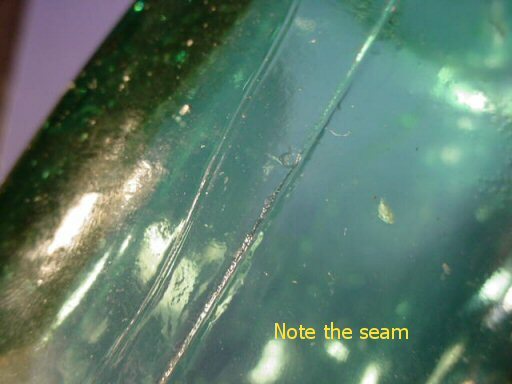 There is some evidence of the early mounting that was not professional, and some glue shows at the left-top edge, but when viewed straight on, this does not detract. There is also a c-shaped bulge and obvious scratches at about one o'clock in the black background. Other than that and a tiny bulge or two, the picture is quite presentable. 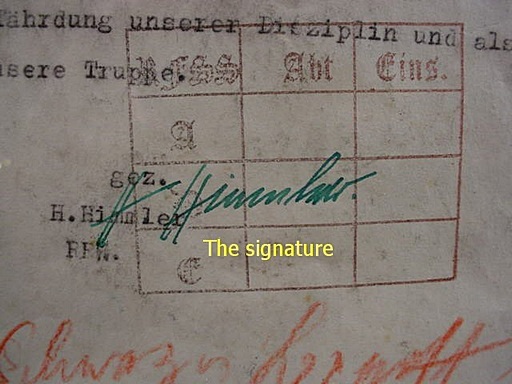 It was found after being hidden in Germany for years and being shifted from place to place it suffered a bit, but it is one of the rarest signatures and most desirable in the world. 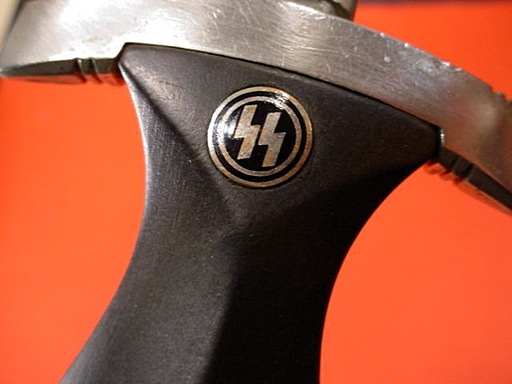 It is not cheap, but it is 100 times more rare than a 1933-model SS officer’s chained dagger. After all, it is entirely unique and totally irreplaceable. 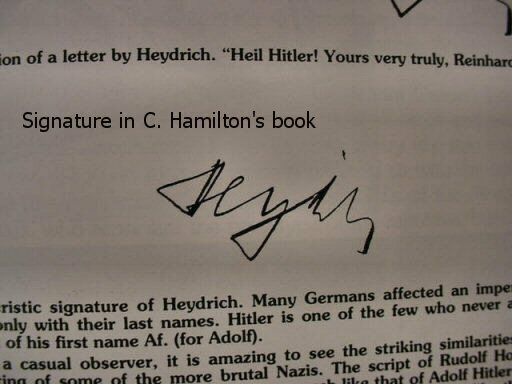 We show a Heydrich signature from Charles Hamilton's book, Second Volume, Leaders and Personalities of the Third Reich, for comparison. 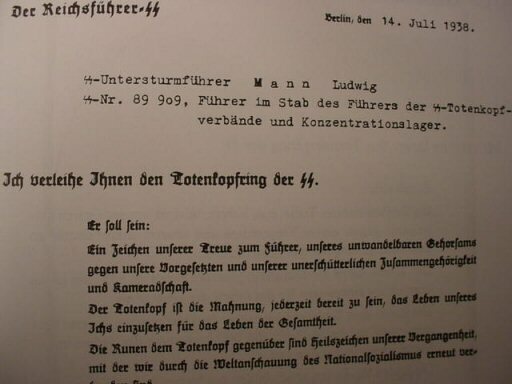 DESCRIPTION: The document comes out of the office of the Reichsführer-SS and Chief of the German Police in the Reich Ministry of the Interior. 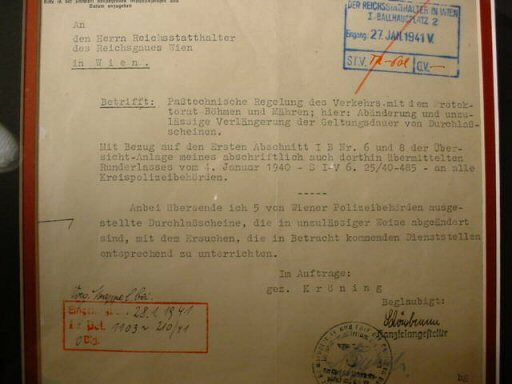 It is order S I A (b) 6 Nr.42/41-485 from the address Berlin SW 11 Prinz-Albrecht–Strasse 8 to the Herrn Reichsstatthalter of Gau Vienna in Vienna regarding regulations of communications and traffic with the Böhmen and Mähren protectorate item; unapproved extension of permits. 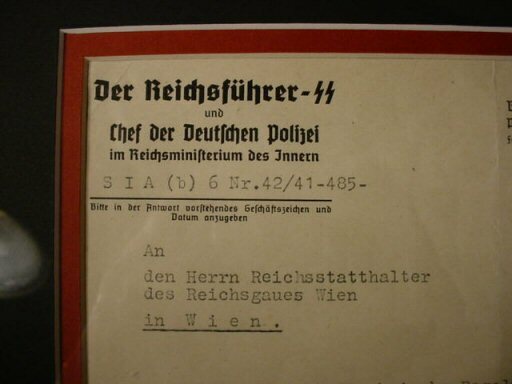 Body quotes: “I hereby send you five permits issued by the Vienna police that have been altered, unauthorized, and I demand that you reprimand the relevant officer.” This was sent in copy to all the area police officials. 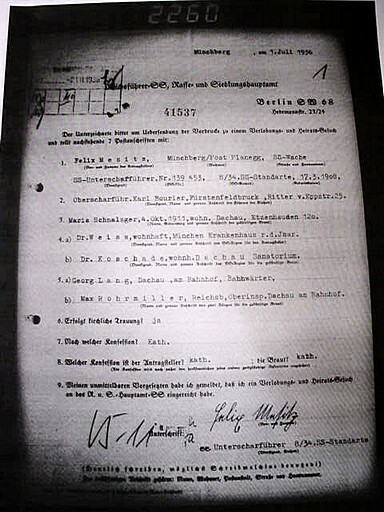 The document is signed by an official in RFSS by the name of Kröning at the sub-Kanzlei. 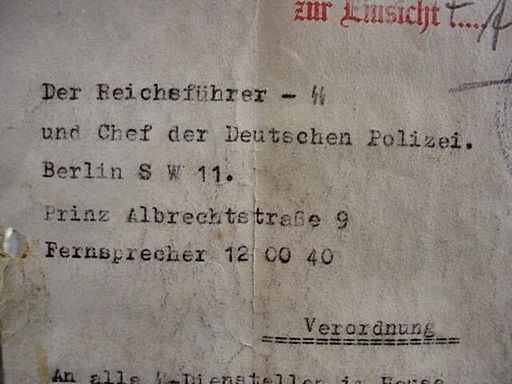 Below this and to its left is the stamp of the Reichsführer-SS and Chief of the German Police in the Ministry of the Interior (Himmler), and this particular stamp it also mentions the Chief of the Sicherheits Polizei and S.D. 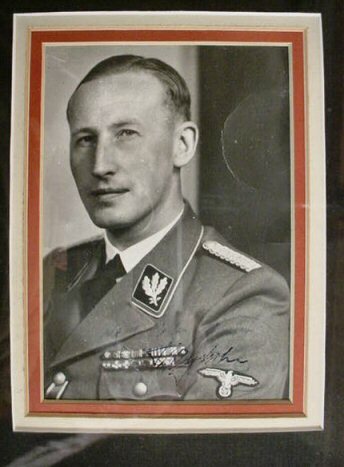 and of course this was at that time none other than SS-Obergruppenführer Reinhard Heydrich, who was the Reichsprotector of Bohemia and Moravia. 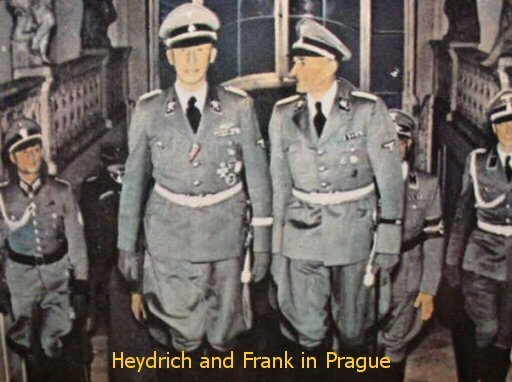 He was the chief of the Reich’s security main office including the Gestapo, SD, and Kripo police agencies. 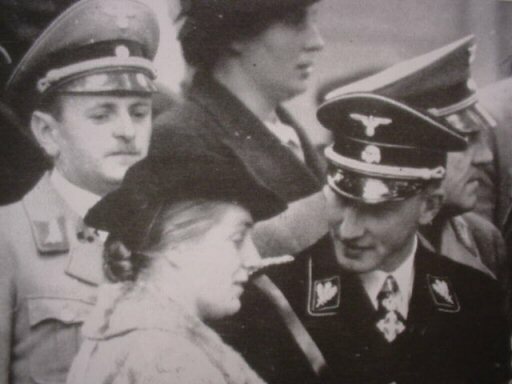 Popular sentiment fueled by historical orthodoxy portrays him as the “devil incarnate,” but recent historical revision gives yet a quite different picture. 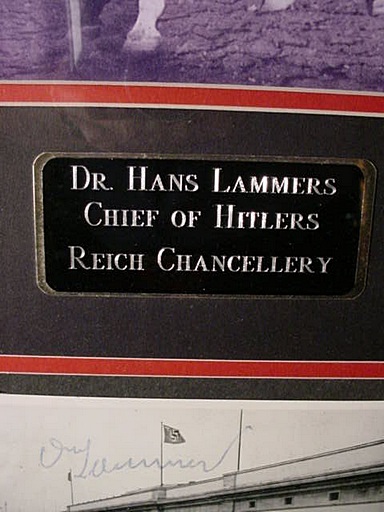 We won’t go there except to quote the old adage that the victor in a war writes its history, but also writes the history of the opposition, as well. Let’s leave it at that. 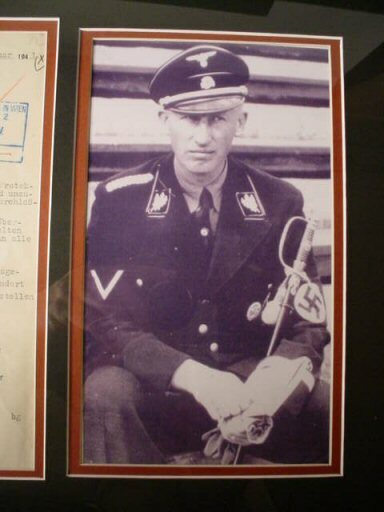 The document is beautifully framed with a picture of a rather pensive Heydrich in uniform of the Allgemeine-SS. 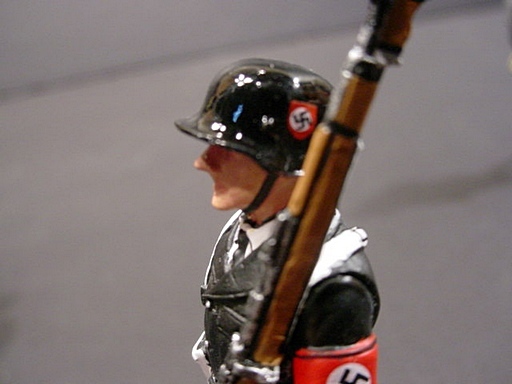 He holds the SS officer’s sword. 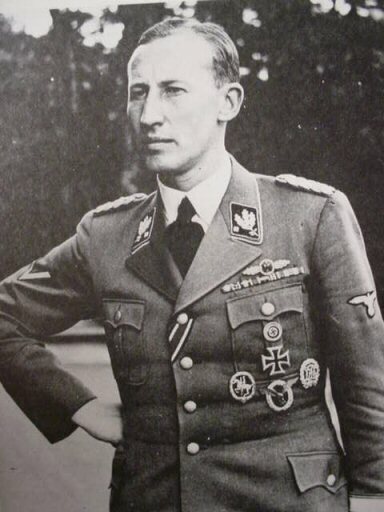 The collar tabs that he wears are for SS Brigadeführer long before he became Obergruppenführer. 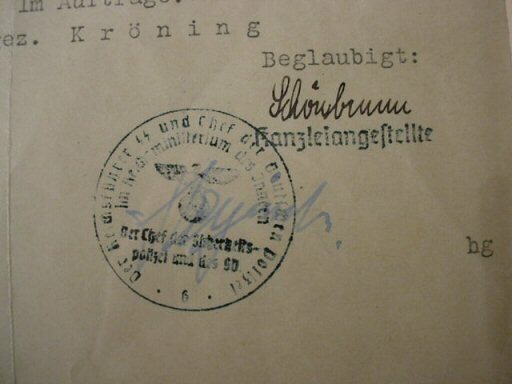 His signature is written through the stamp in blue pencil or ink. 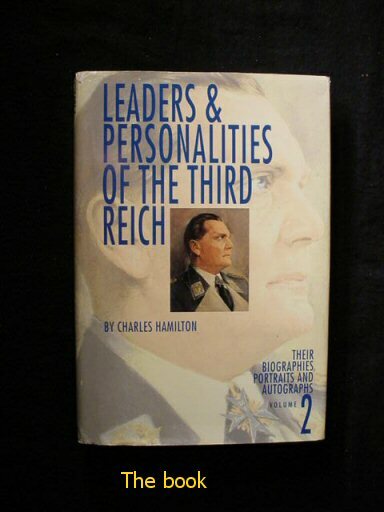 We show a picture of the signature in Charles Hamilton’s book Leaders & Personalities of the Third Reich—Their Biographies, Portraits and Autographs. 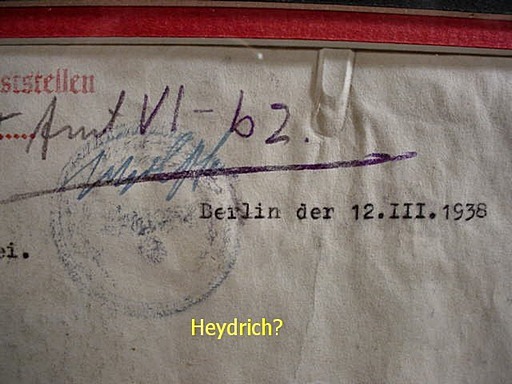 The Heydrich signature is on page 149. 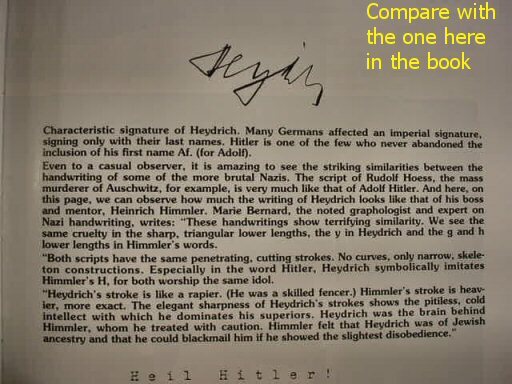 Hamilton says in his description, “Heydrich’s stroke is like a rapier. 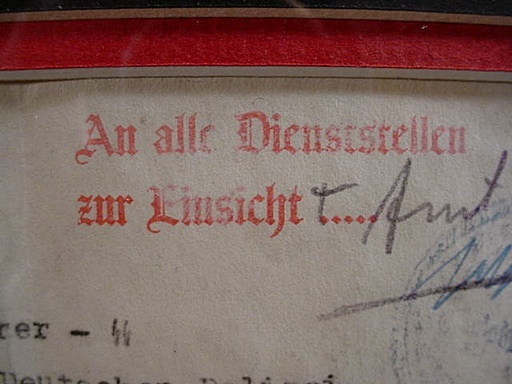 He was skilled fencer.” The document is super-rare; very few Heydrich signatures ever show up and this is an extremely important historical document in wonderful condition. 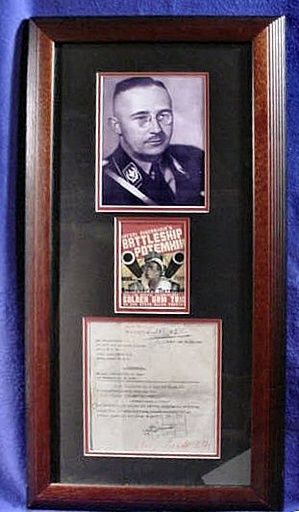 It has been professionally framed in the acid-free matting. Non-glare glass protects it from sunlight. 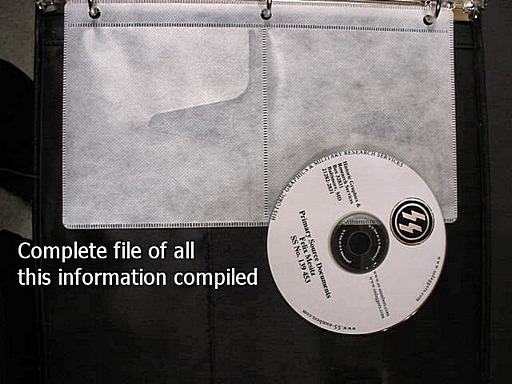 This is an excellent museum-grade presentation and preservation. 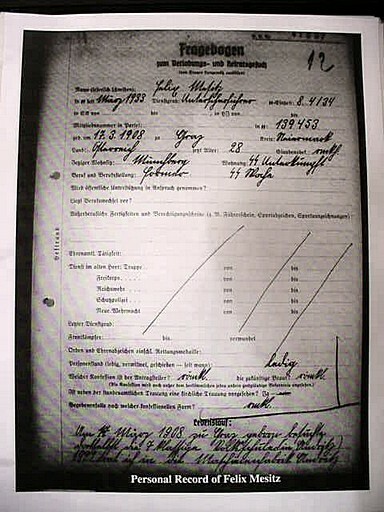 The frame is of the style used in the 1930s and 1940s. 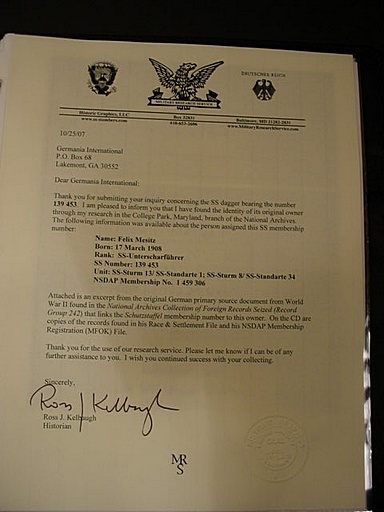 It measures 7 3/4 x 9 inches and the picture is 9 x 5 inches. 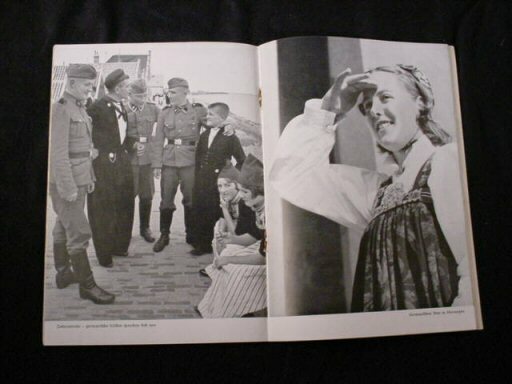 We are very proud to offer this great page in Third Reich history. 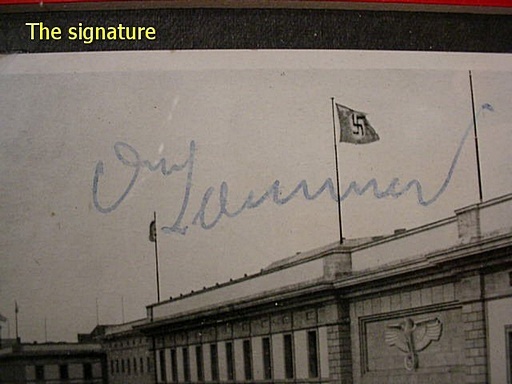 DESCRIPTION: This is the ultra-rare signature of Dr. Hans Lammers, one of Hitler's closest friends and the honorary SS man that the Führer chose to be the head of his new Reich Chancellery. 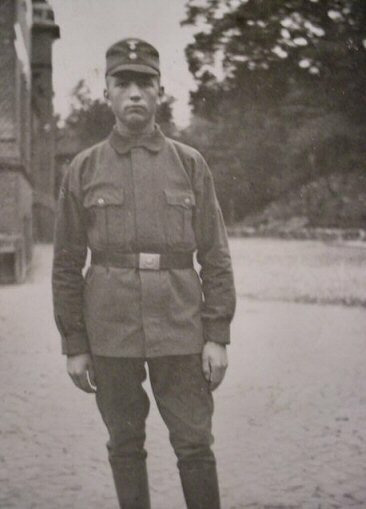 He was born in 1879 and died in 1962. 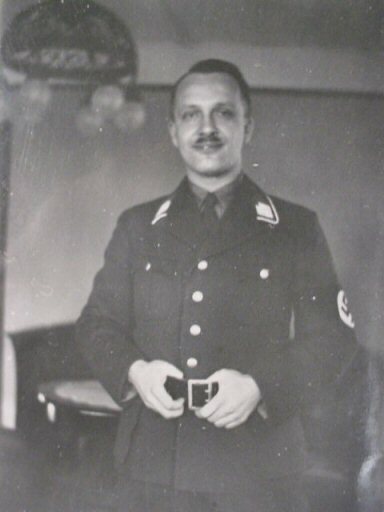 Lammers was a clever lawyer who specialized in interpreting legal tangles for the NS party. 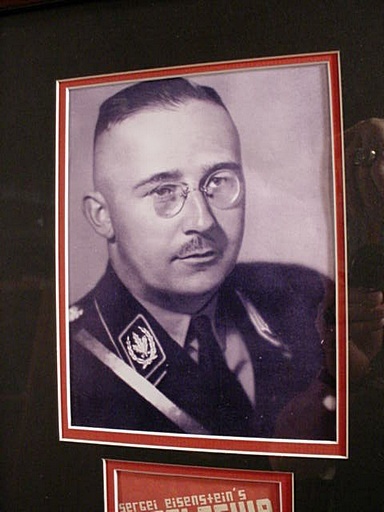 From 1933 to 1945 he served as state secretary and eventually as minister and head of the chancellery. 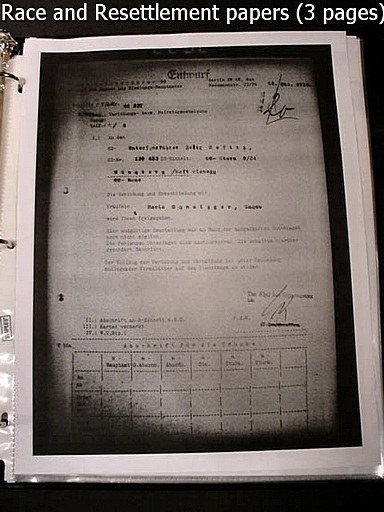 He was an able administrator and you can see his signature on many state documents. 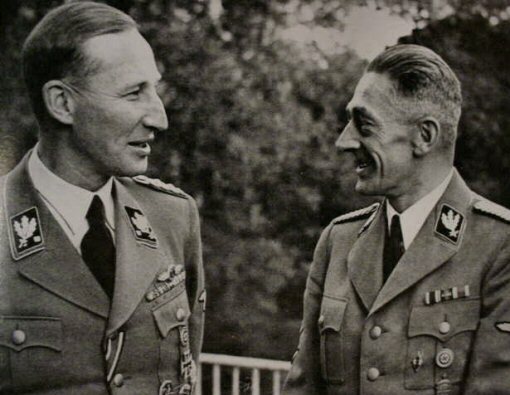 He was also a fine horseman and enjoyed riding at every possible break in government affairs. 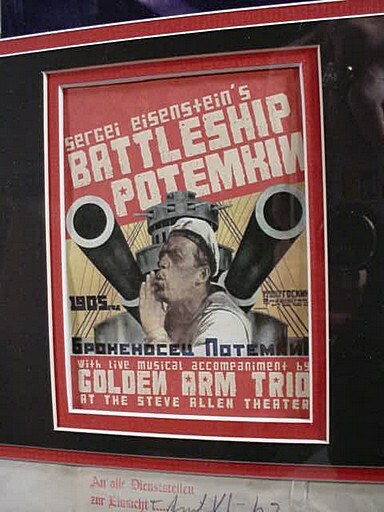 This human dynamo was old, but not decrepit by any means. 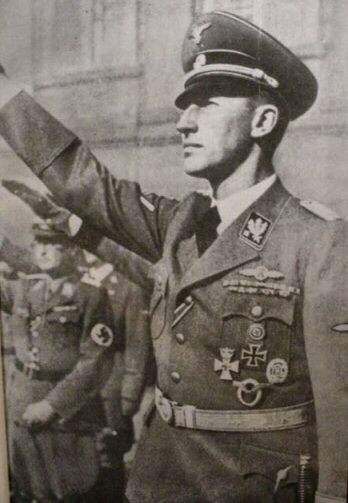 He was always dependable and efficient in his work. 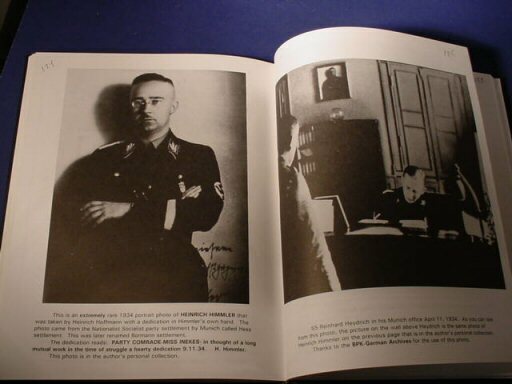 He fell victim to the Nuremberg Star Chamber Court in 1945. 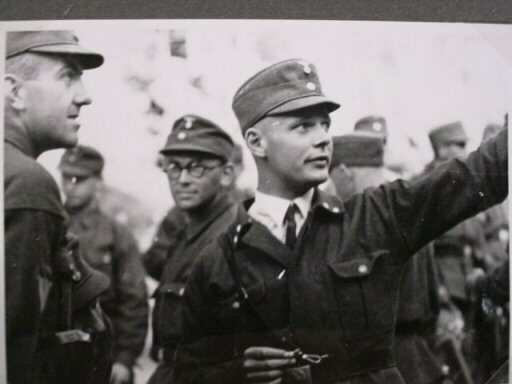 He was sentenced on dubious and mostly false charges and sentenced to 20 years in prison and released from Landsburg on December 15, 1951. 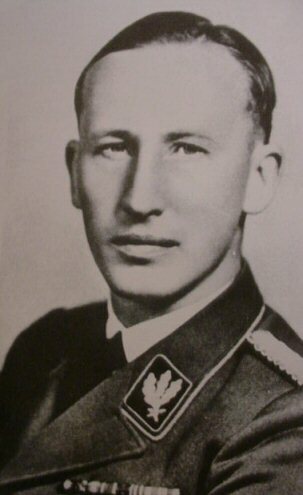 He died at Dusseldorf on January 4, 1962. 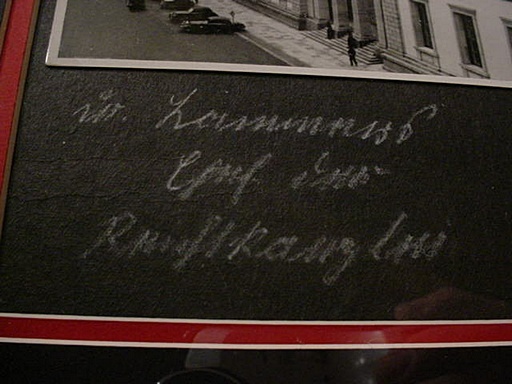 The framed picture of the new Reichs Chancellery has his hand signature. 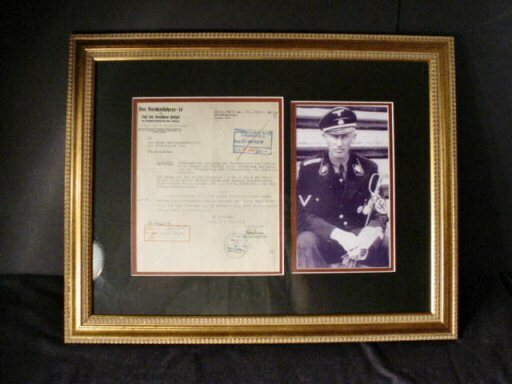 It is nicely framed with museum-treatment matting (acid-free) and nonglare glass. 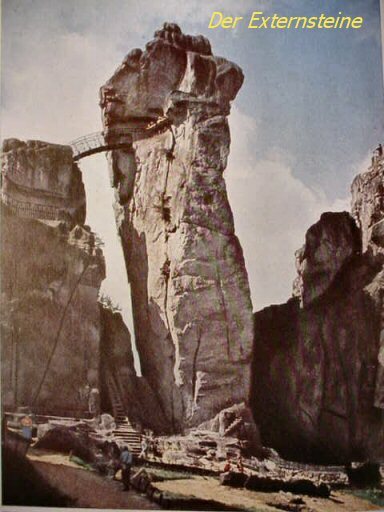 A great picture that is a view of him on horseback is included. The frame measures 24 x 13 inches. 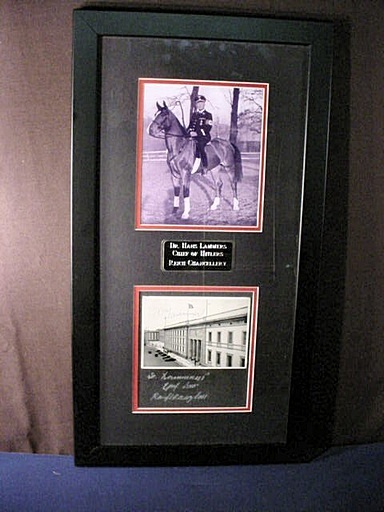 The signed picture is 6 x 6 inches, while the equestrian picture measures 6 x 7 inches. This is a great presentation, dramatic and neat. 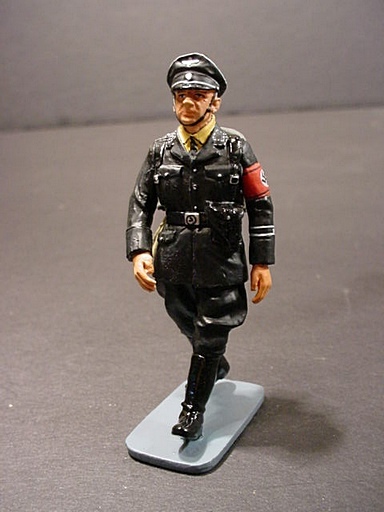 It will look great in any NS collection. DESCRIPTION: The (D) guard is composed of a nickel-plated stamped steel-based metal. 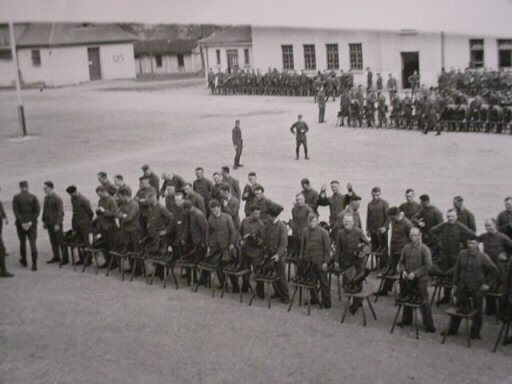 The guard ends in a teardrop-like configuration. 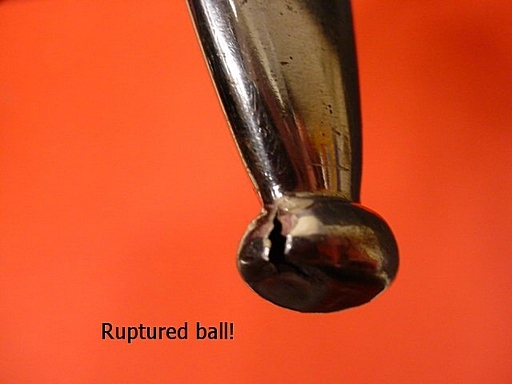 The upper ferrule is an integral part of the guard. 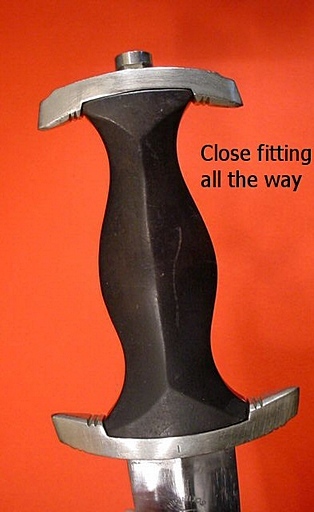 The lower ferrule is a separate fitting being the same as the officer version. 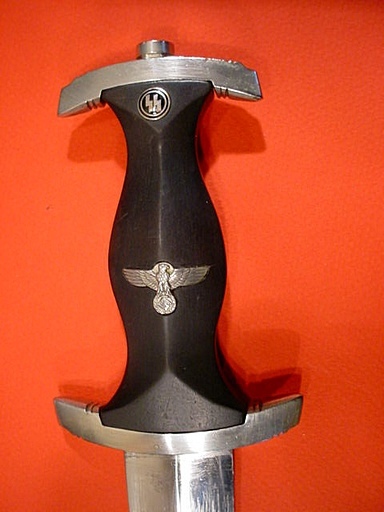 The pommel cap is the major distinguishing feature of this NCO design. 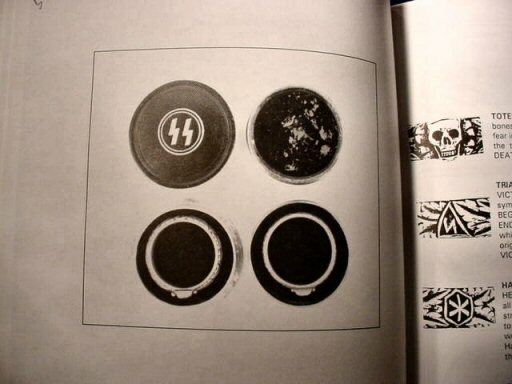 It has a high-relief set of runes that are visually enhanced through the use of a blackening process used throughout the lower background of the cap. 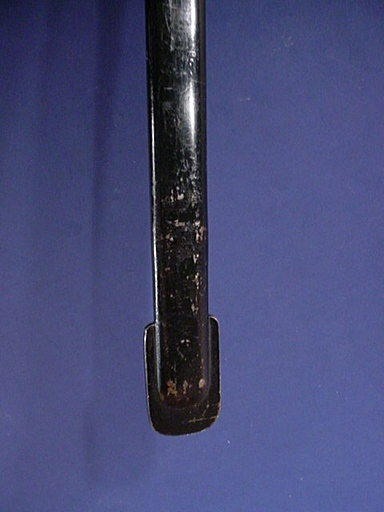 The grip is a turned thirteen-rib variety, but with no rune decoration. 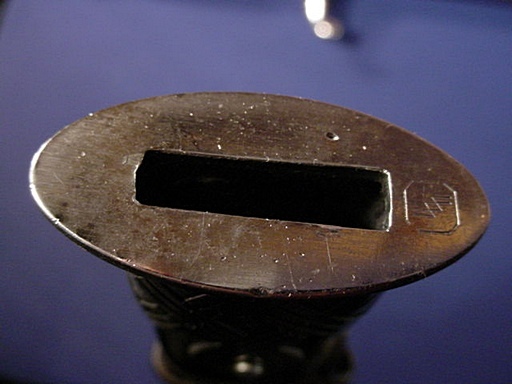 It is made of ebony wood and reflects a black-painted and lacquered finish. 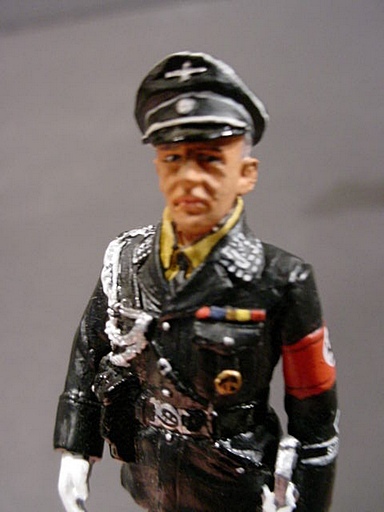 Unlike the officer version there is no wire wrap. 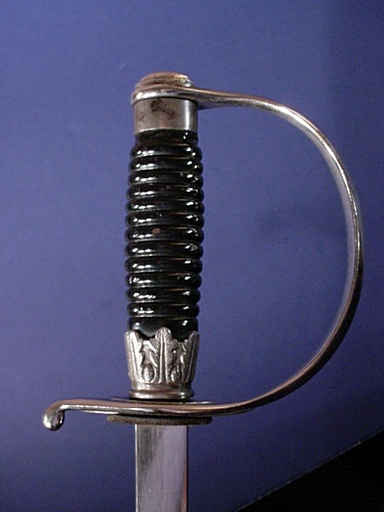 Like the officer Degen the scabbard is black-painted steel. 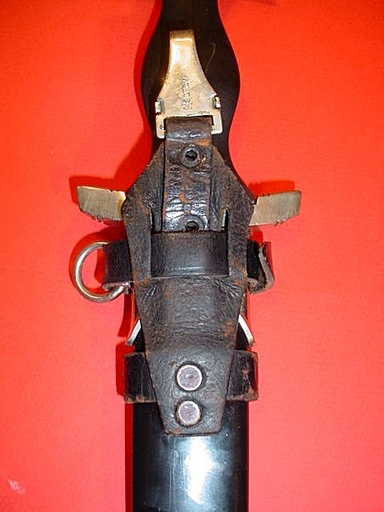 The scabbard differs from the officer’s model in that the lower drag area is built into the steel design. There is no separate drag mount. 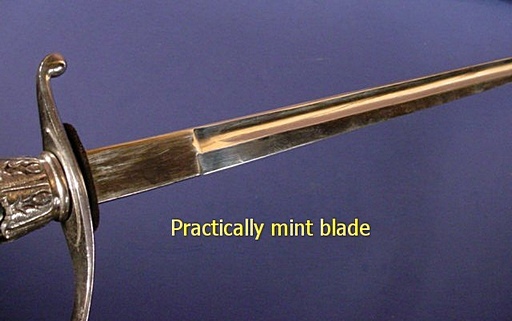 The blade is the same as that of the officer Degen varying with the height of the wearer. 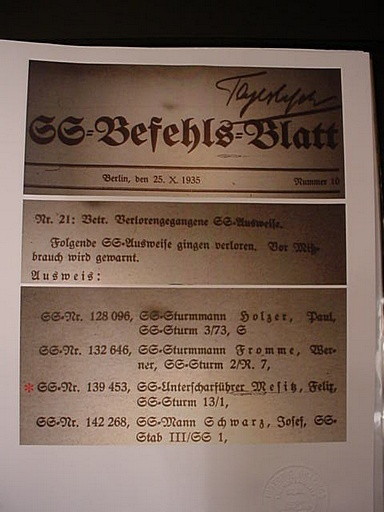 A white, leather washer was used in the early (no maker) and Peter Daniel Kreb’s examples of which this surely is. 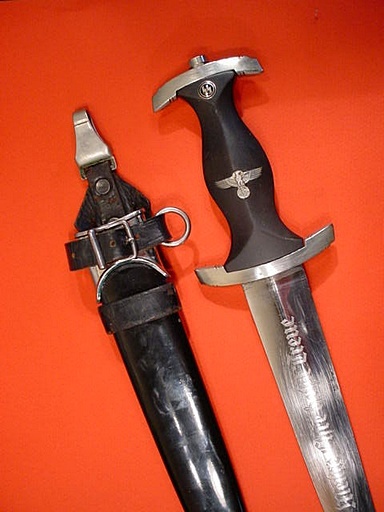 This sword has the Karl Diebitsch logo (the intertwined ), the Kulturzeichen mentioned in the great book by Thomas Wittman, Exploring the Dress Daggers and Swords of the German SS. 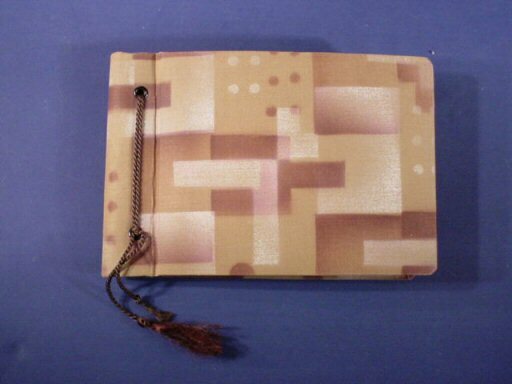 This is the classic textbook example of the NCO Degen and is in extra-fine condition throughout. 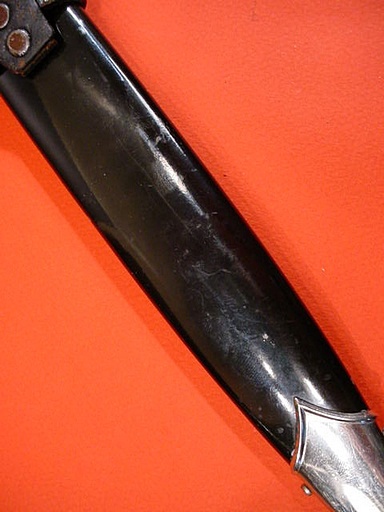 Scabbard has original paint and is in excellent shape. 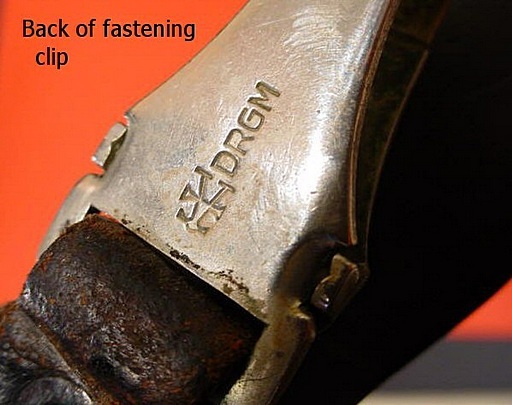 All fittings are tight. Grip is unscathed. 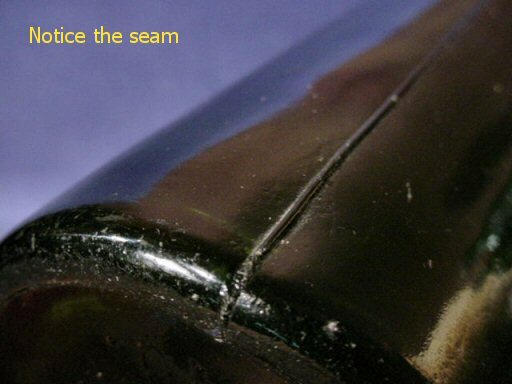 There are slight dings at the cap's sides, but do not detract from this almost pristine example. 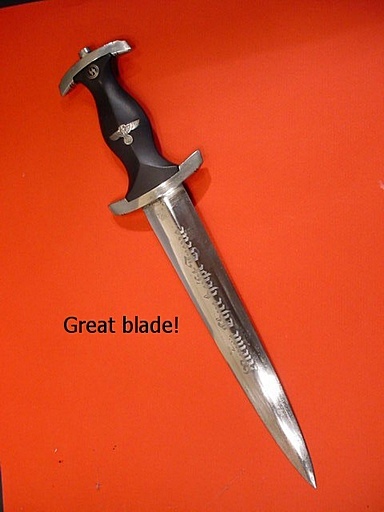 Length is 41 1/2 inches; blade is 34 1/2 inches with no maker marks. 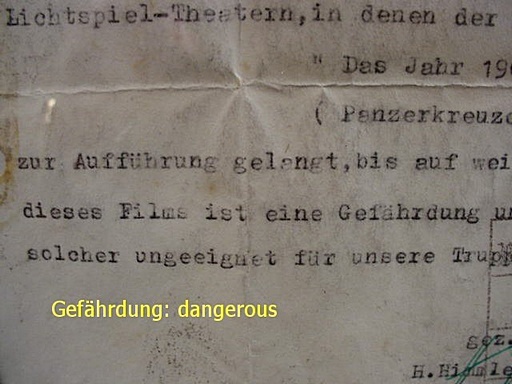 This is practically a pristine example and you probably could not find better. DESCRIPTION: Let’s see any of the dagger gurus top this one! 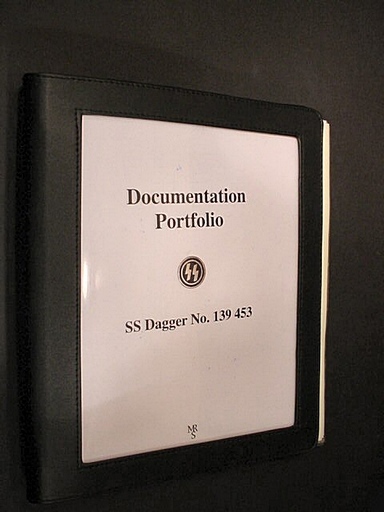 I have never seen a better documented dagger and doubt that there is one out there in cyber land. 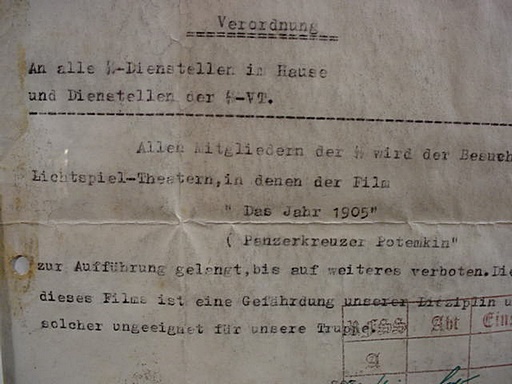 The former owner of this piece is -Unterscharführer Felix Mesitz, whose membership number is 139 453, and he was attached to -Sturm 13/, -Standarte 1, -Sturm 8/, -Standarte 34. 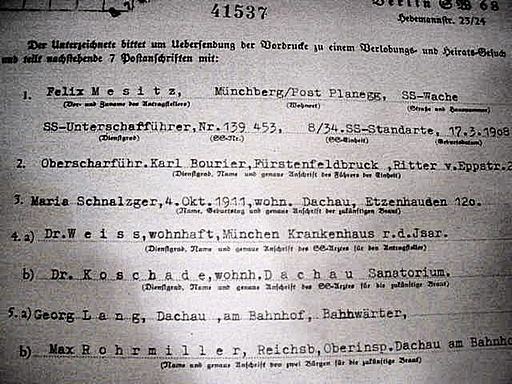 He was assigned at that point to Münchberg/Post Planegg -Wache. 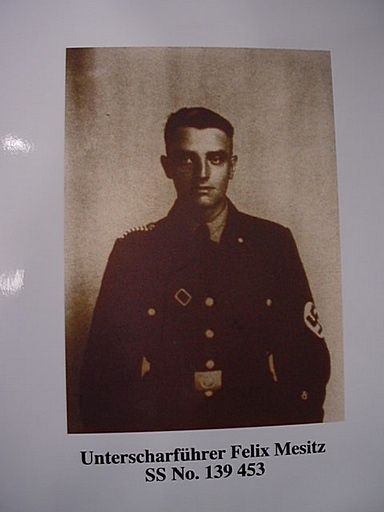 He was also a party member of the NSDAP with party number 459 306. 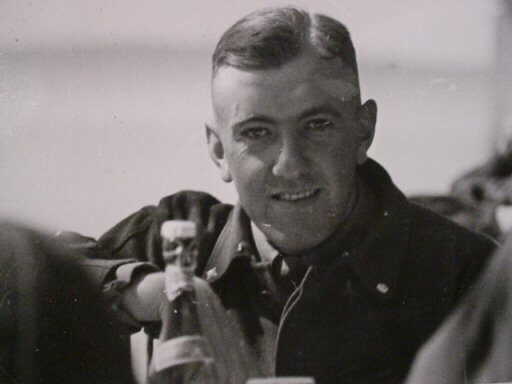 It is nigh onto impossible to turn up pictures of one of these men, but the researcher, Ross J. Kelbaugh, who is an ardent historian in Baltimore, Maryland, did an excellent job of documenting this dagger. 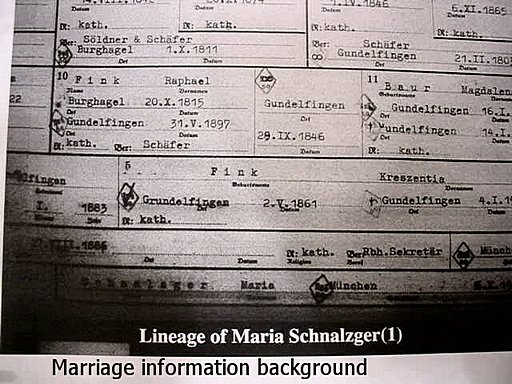 Even the man’s wife’s records are there and a record of their marriage. 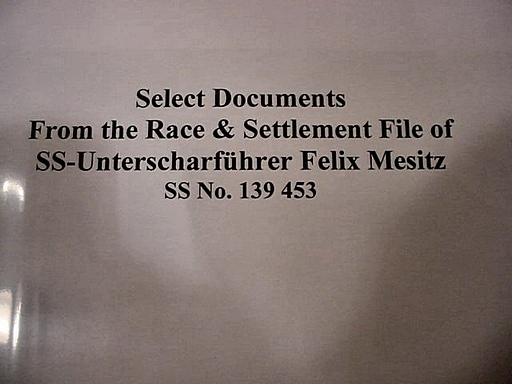 There are also documents from the Race and Resettlement Office with certification of their immaculate Aryan background to include documentation on their parents and grandparents. 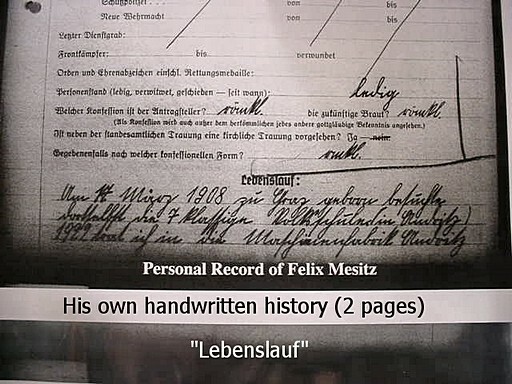 Under Lebenslauf there is a handwritten statement signed by Felix Mesitz, himself. That is a capsule review of his life and career. 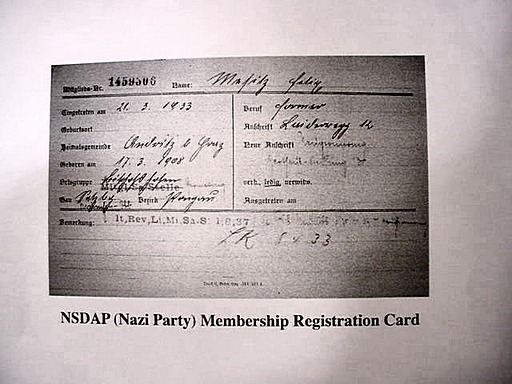 A copy of his NSDAP membership card is also included. 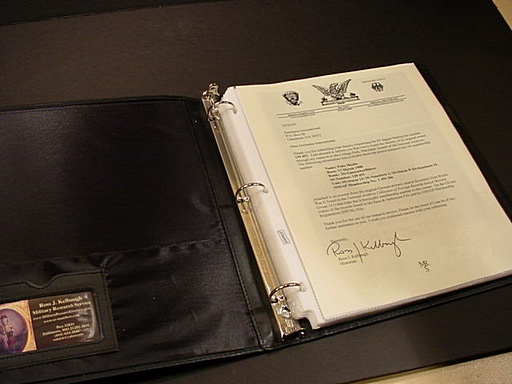 All of this is included in the three-ring binder with all documents and plastic sheet folders (highly professional). 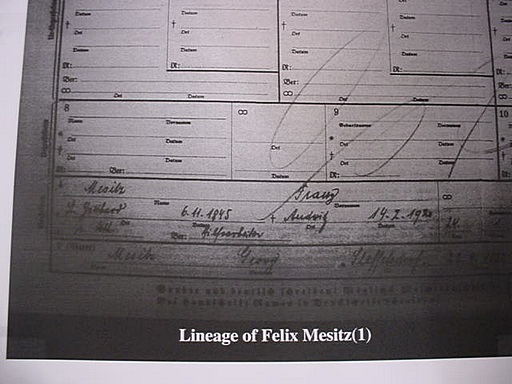 The three photos of Herr Mesitz and one of his wife are fairly clear considering that they are three times removed as copies emanating from the College Park Maryland Branch of the National Archives Collection of Foreign Records (seized group no. 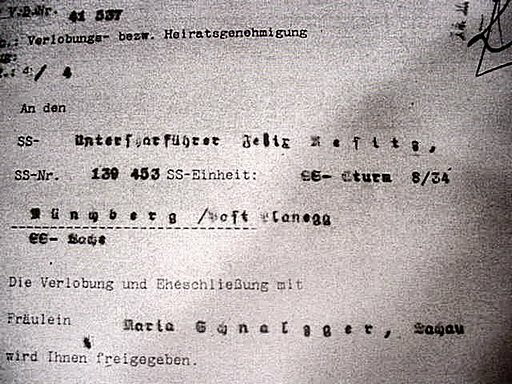 242). 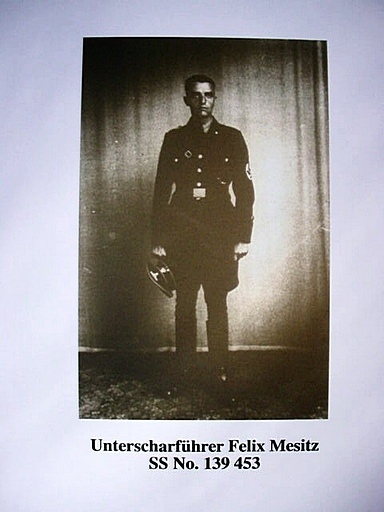 The copy of the SS-Befehls Blatt (order papers), shows clearly -Unterscharführer Felix Mesitz SS Sturm 13/1. 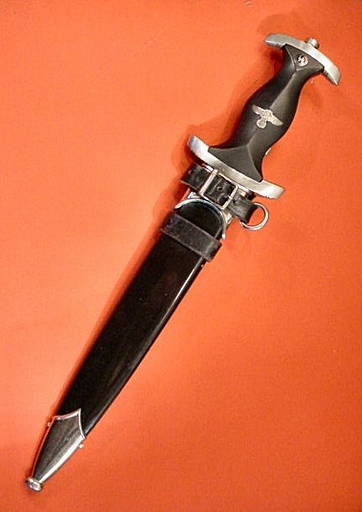 The dagger is the Model 1933. 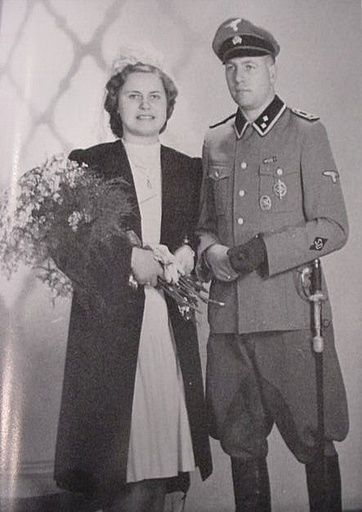 It is almost exactly the mirror image of the one shown in Thomas Wittman's great book Exploring the Dress Daggers and Swords of the German SS, page 31, right down to the large-buckle vertical hanger. This is so rare! 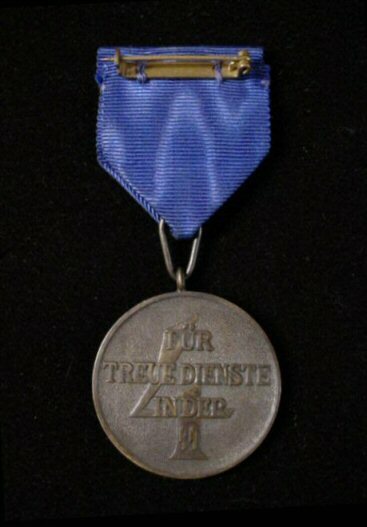 The early nickel cross guard bears the letter ‘I’ on the back, and that designates the area to which the respective daggers were sent for distribution. 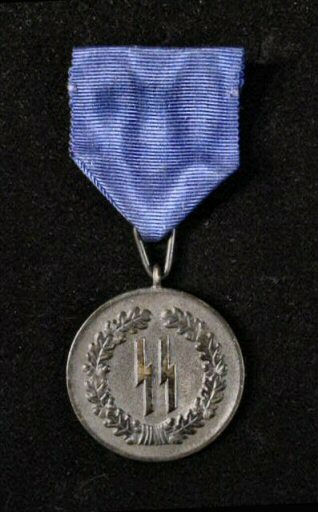 The top guard cross guard are of nickel. 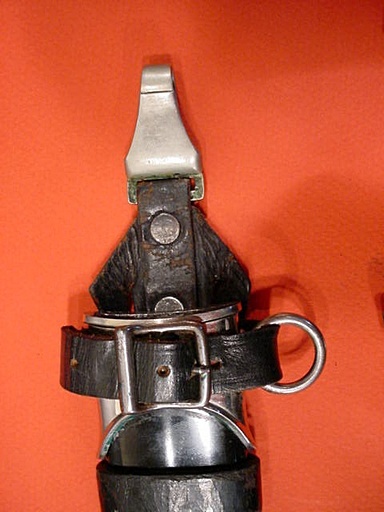 The scabbard fittings are nickel plated. 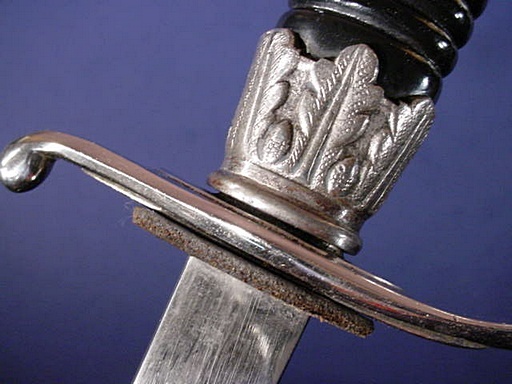 The grip is in beautiful shape without all the little cracks that are almost invariably found on these daggers. The fitting is extra close with hardly any gap showing. 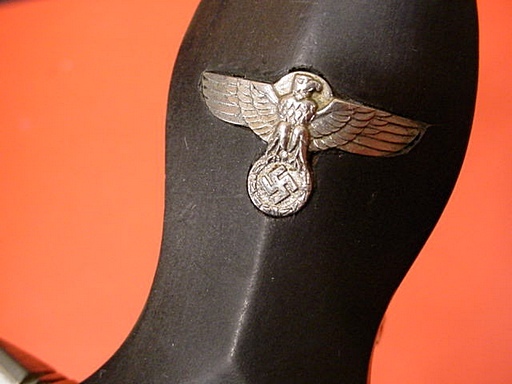 The grip is of carved ebony. 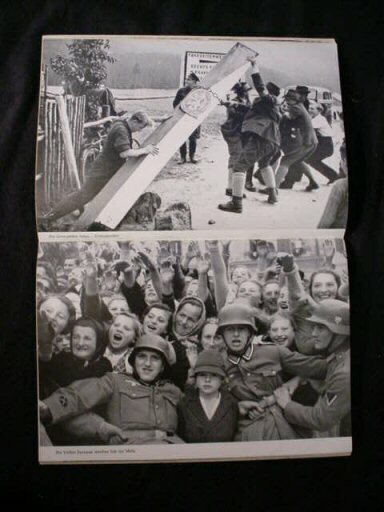 Under the cross guard is seen a stamped number 139 453. 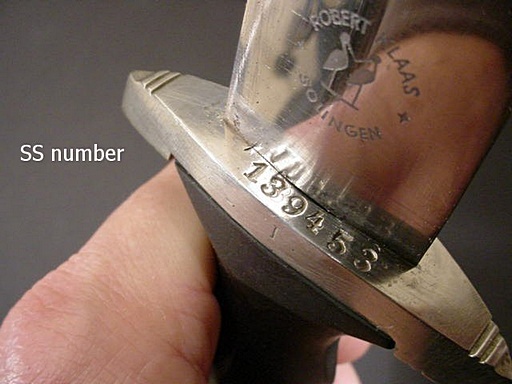 And, of course, this is the SS membership number of -Unterscharführer Felix Mesitz, the former owner of this dagger. 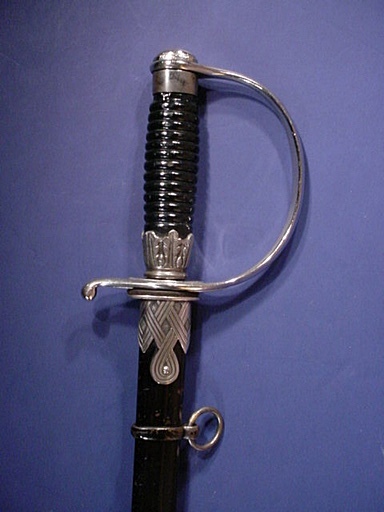 The scabbard may or may not have been repainted (probably was), but if it was then a magnificent job was accomplished. It looks very good with a few pinholes in the paint here and there. 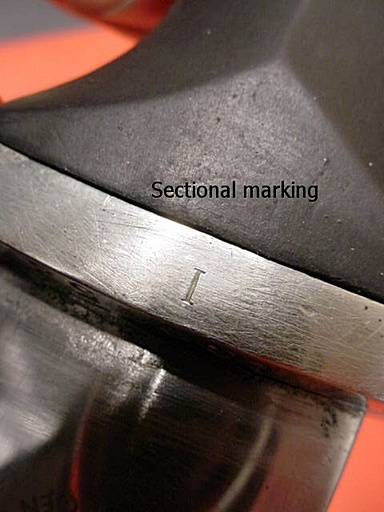 There is a slight abrasion to the scabbard tip. If the owner let it drop from his belt (even one time) this would account for this (very usual). 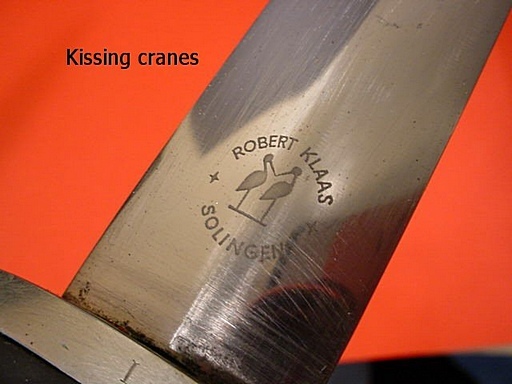 The dagger is by Robert Klaas of Solingen and beside the name it has the kissing-cranes logo of the firm. 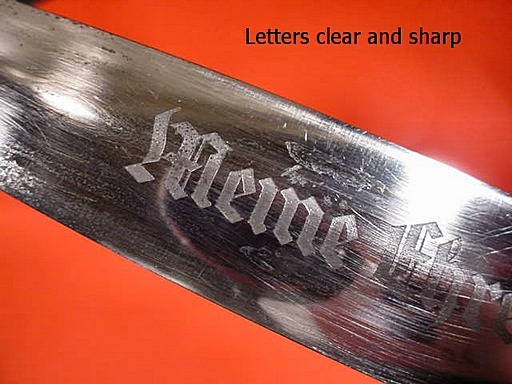 The blade is nice and bright with the usual slight scratches made by the ribbing inside making its mark as the dagger blade is drawn and resheathed. There doesn’t seem to be an escape from this! 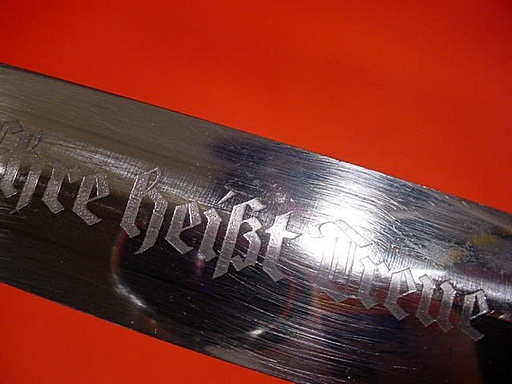 The darkening inside the words of the motto: “Meine Ehre heist Treue,” has virtually left, but is still sharp with high luster. 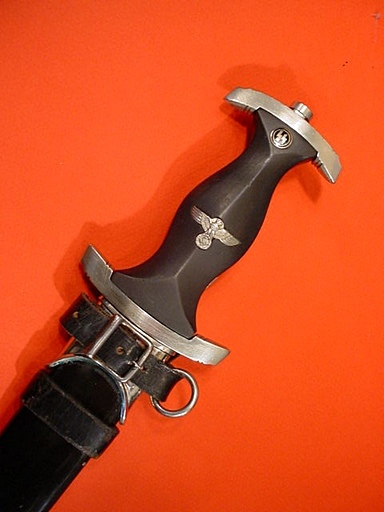 After 1934, Heinrich Himmler’s orders specified the service dagger was to be suspended with the fixed-position vertical hanger. 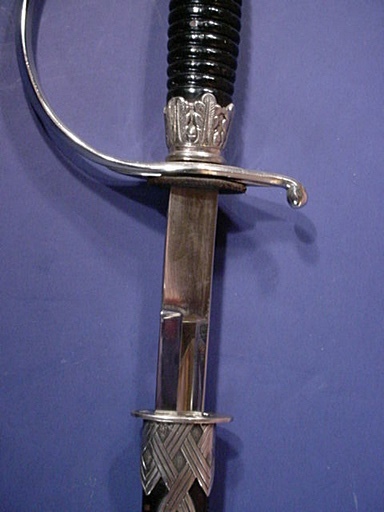 This dagger is equipped with this style hanger. 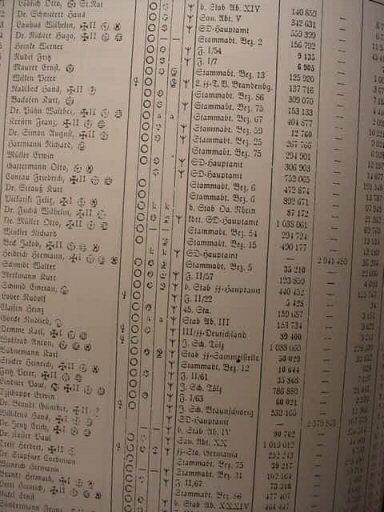 This is the coffin-shaped hanger that Mr. Wittman refers to in his book’s section on hangers, pages 591 to 600. 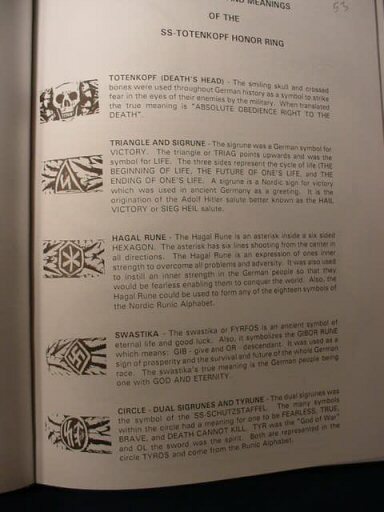 There are 22 different styles shown of these vertical hangers all somewhat different shown in his book and this one has characteristics similar to many of them, but is different yet but it’s obviously authentic. 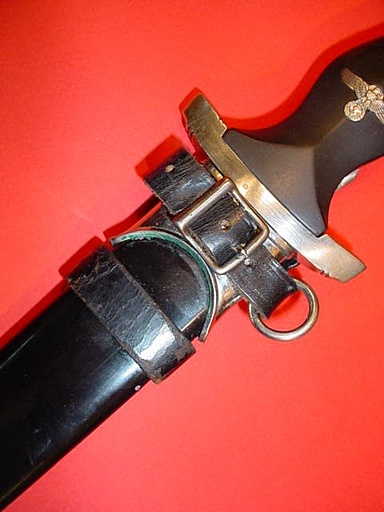 The hanger is in decent shape with no tears in the leather, so dear collector there is and I feel that it is not only a choice specimen of an SS dagger, but to know the history of the man it was issued to is incredible! 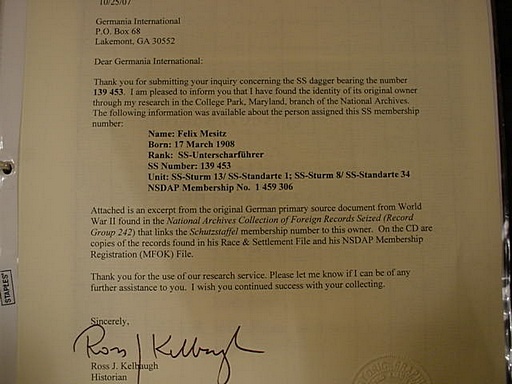 This is a worthy investment for any serious collector who is a historian as well. We are extremely proud to offer it and happy to have it in our hands, even if it's only for a little while! This is the best! 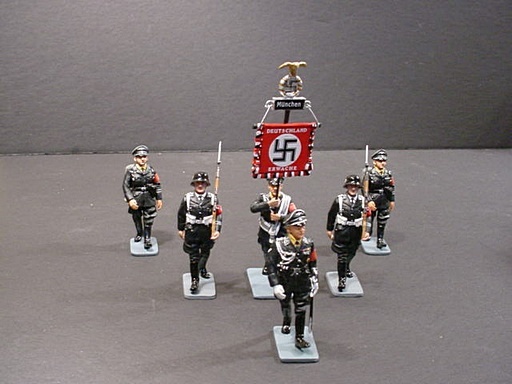 DESCRIPTION: It’s unusual for Germania to present and offer for sale anything that is not 100-percent original from the Germanic period; recently we were offered in a trade deal this set of Allgemeine-SS troopers on parade. They were so strikingly beautiful that we found them hard to resist (so, we didn't resist! ), and here they are! 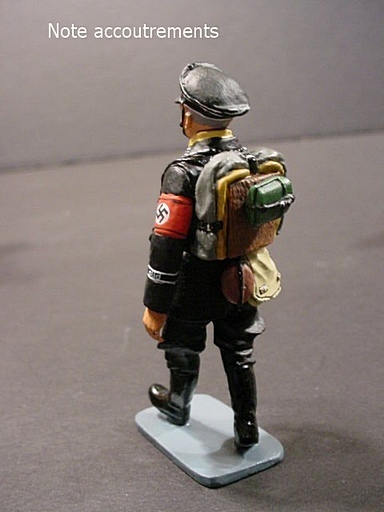 There are two rifle-bearing LAH men (the Adolf Hitler unit of the SS), a bearer of the Standarte from Munich, two enlisted ranks with backpacks, blanket rolls, canteen, etc. 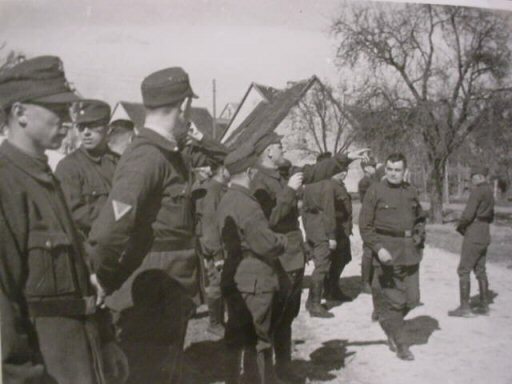 There is also a officer with sword leading the unit. 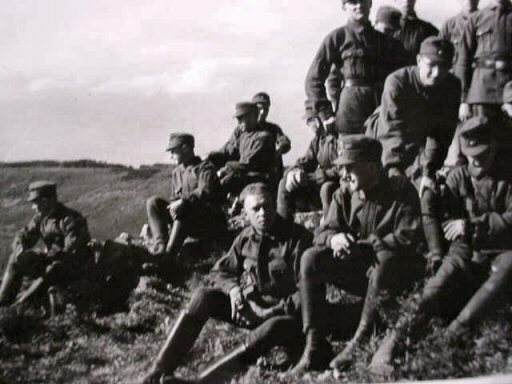 These men, except for the LAH men, are from the designated area Oberabschnidt Sud, or south. 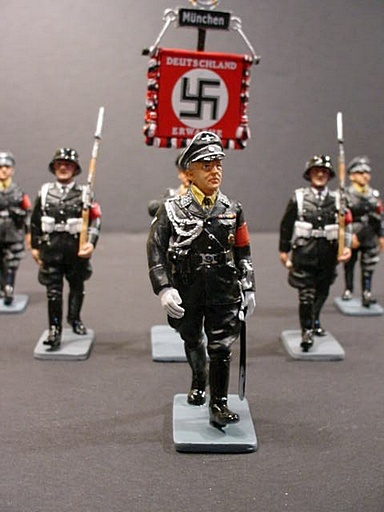 You can even make out ‘Sud’ on their sleeve bands—the figures are that detailed. 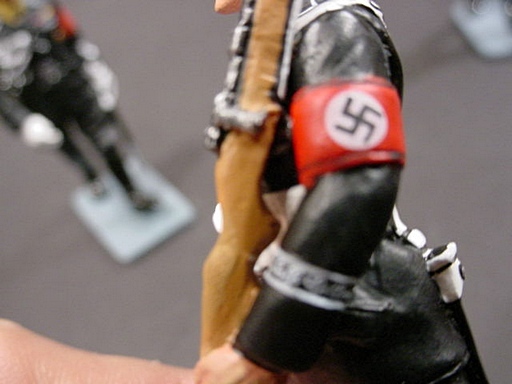 The figures are about 2 1/2 inches high, and the one with standard measures 5 inches high. The detail is astronomical, indeed. I was told by the person we received them from that the series by the manufacturer is long closed in this particular grouping, so they are a good investment, actually.